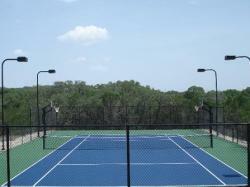 Family fun is waiting! 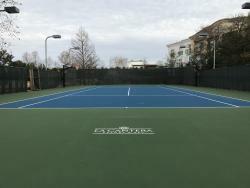 Use the Court Builder App and view our Court Gallery to see all of the options for courts big and small that we offer. 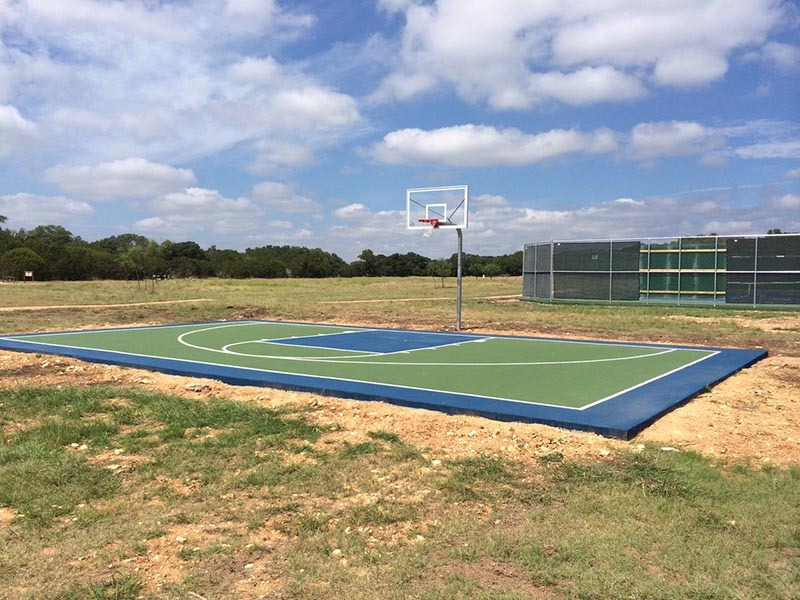 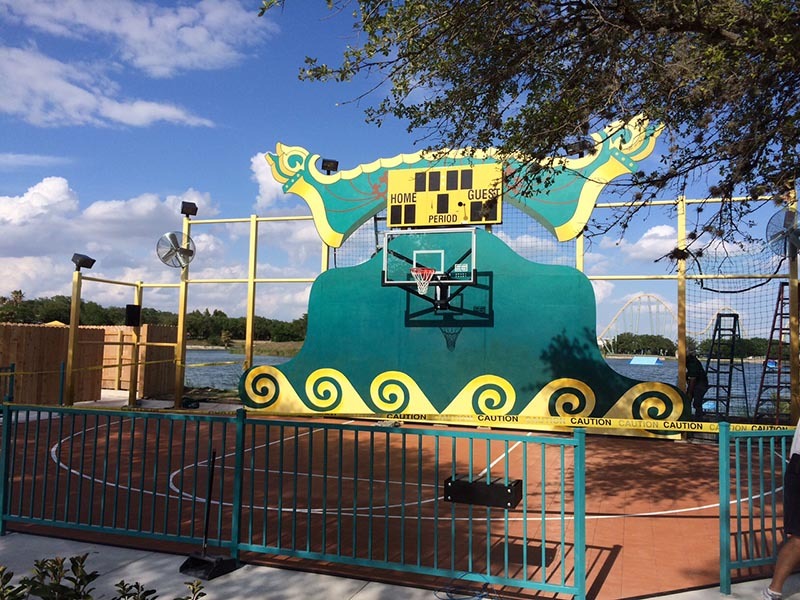 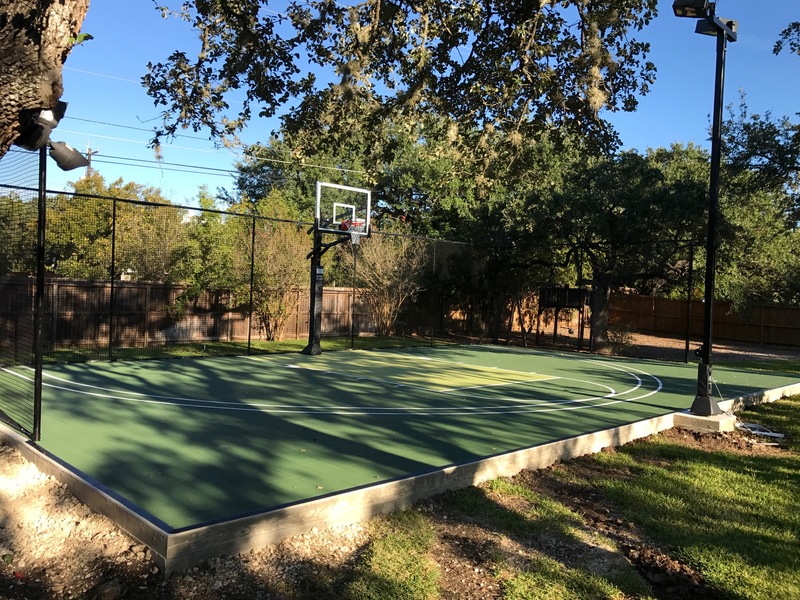 Full-size and reduced-size tennis and basketball courts—many of which can double as courts for volleyball, badminton, roller hockey, pickleball, and other court-based games. 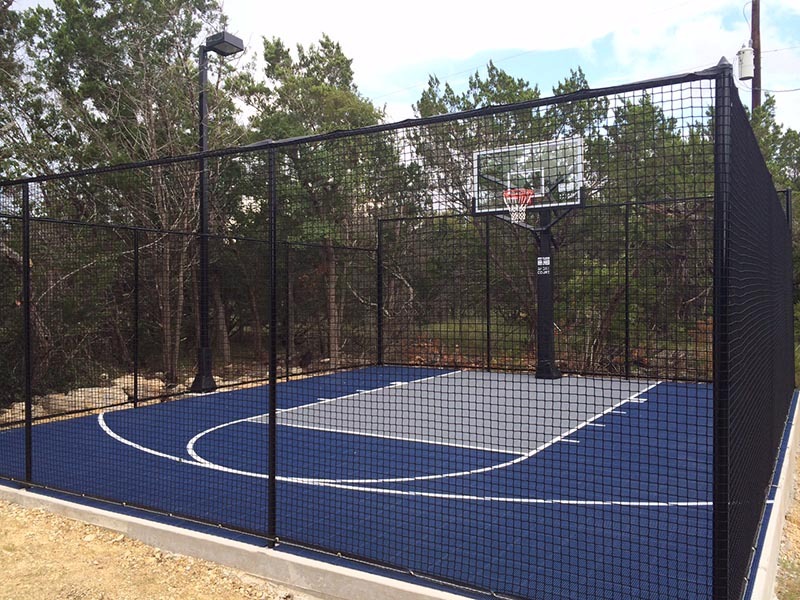 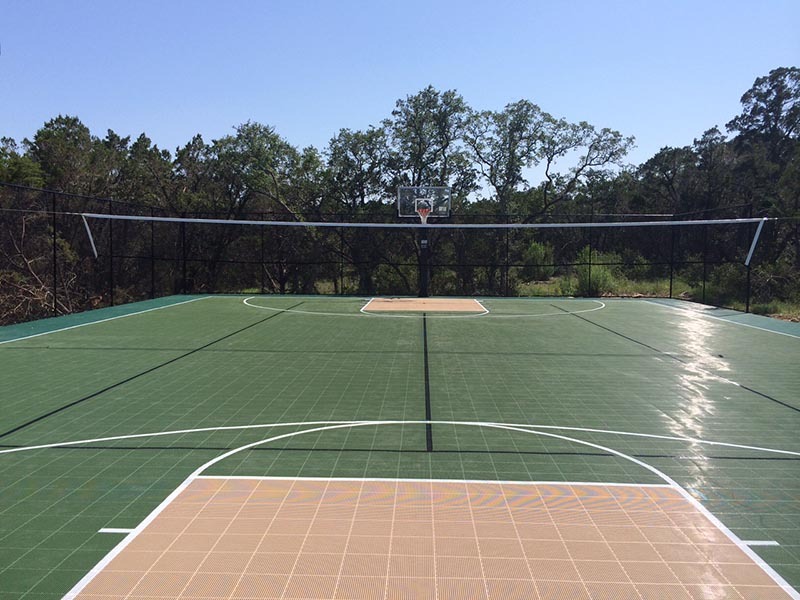 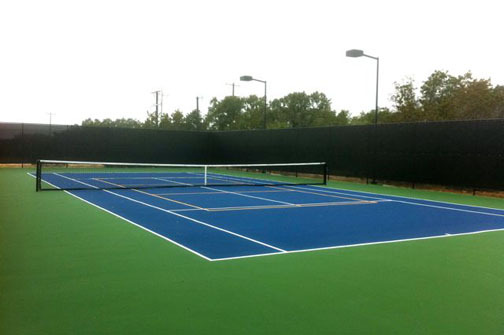 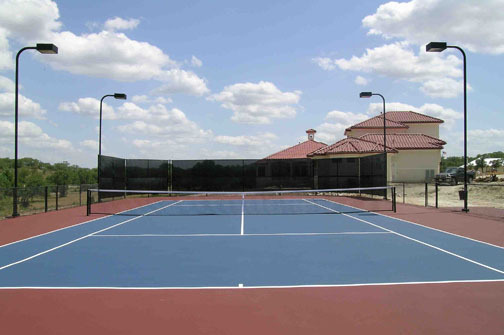 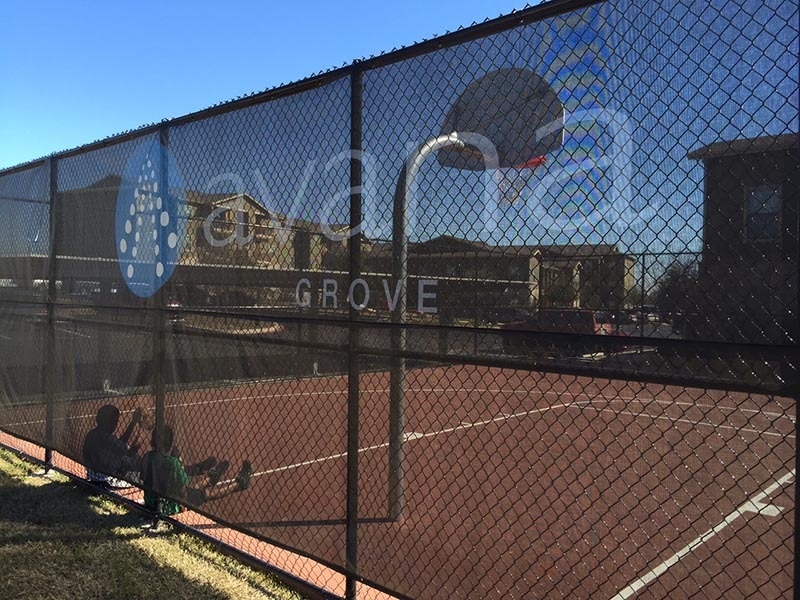 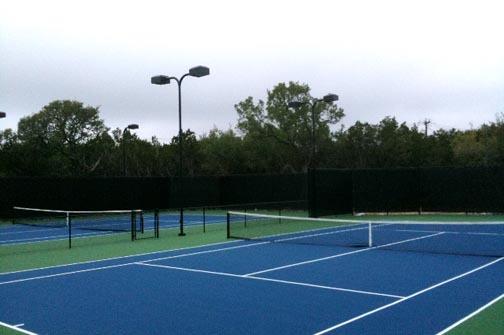 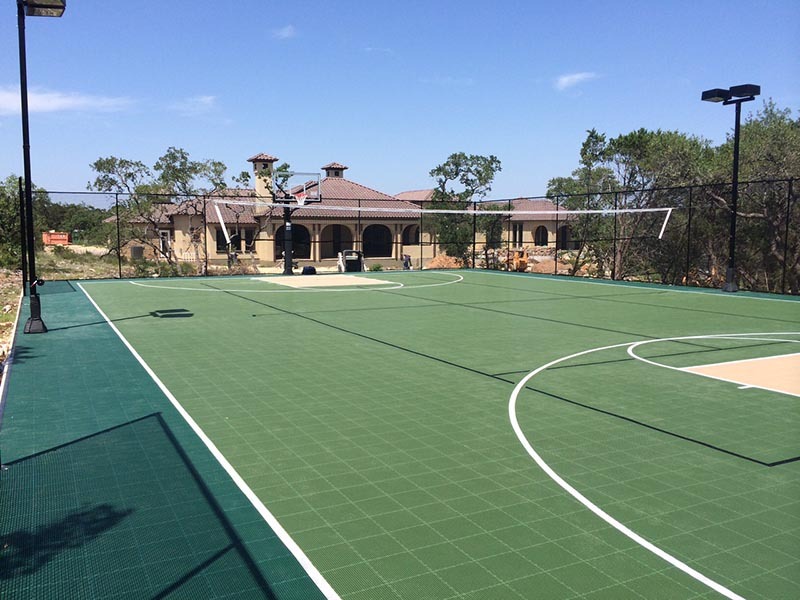 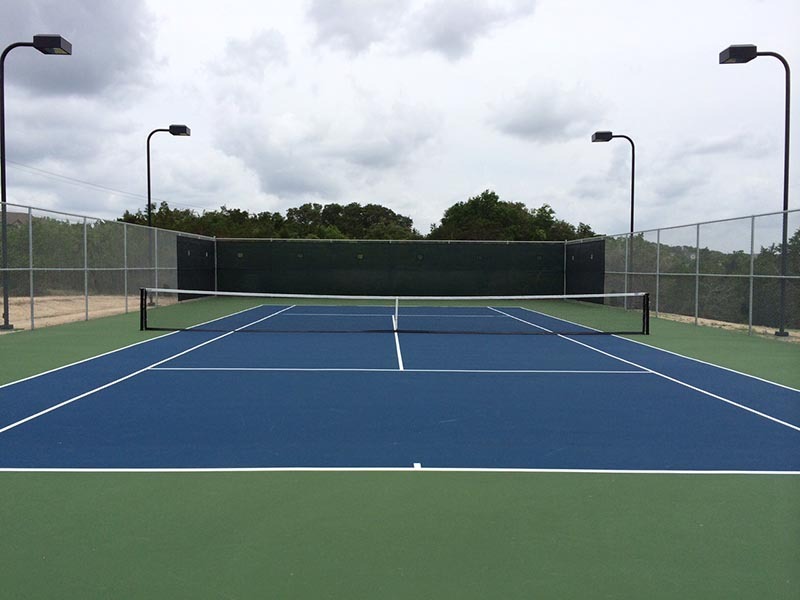 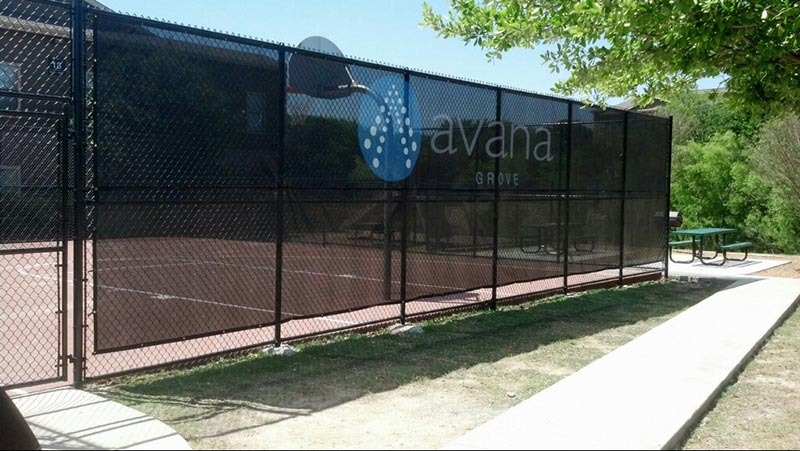 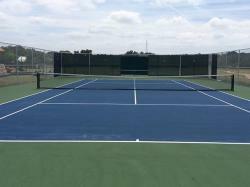 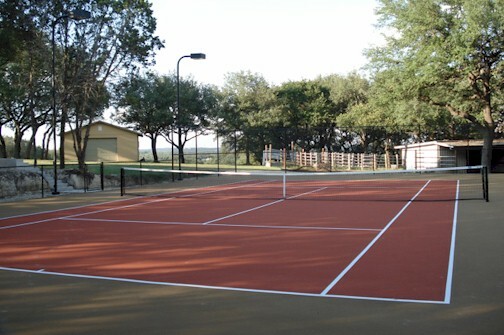 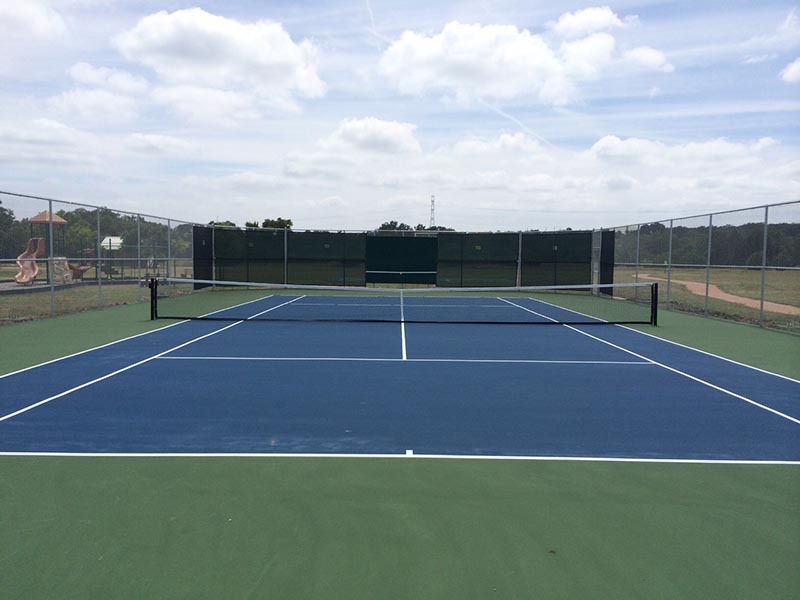 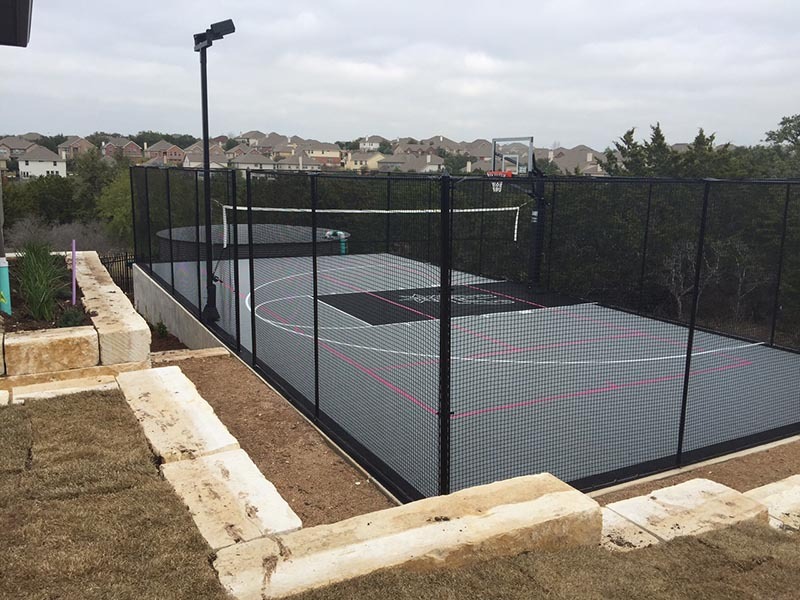 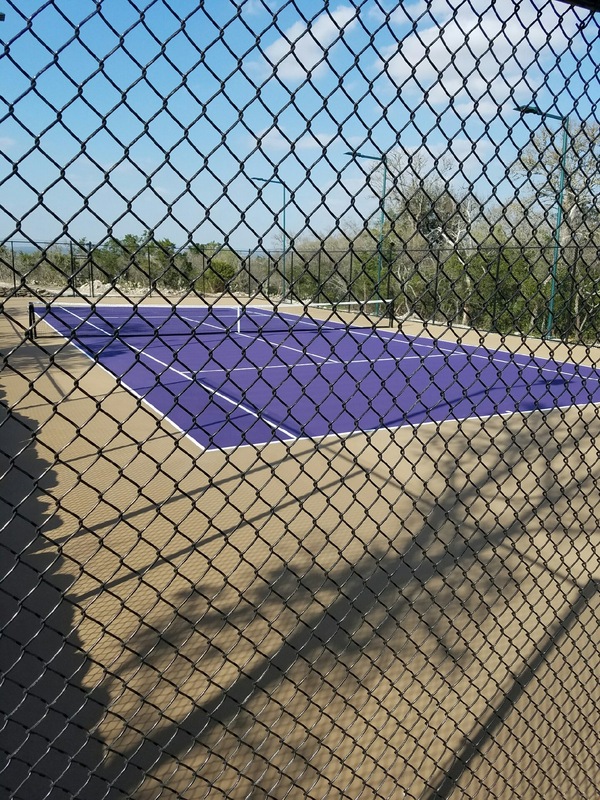 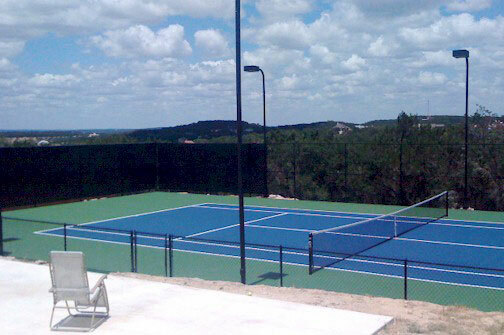 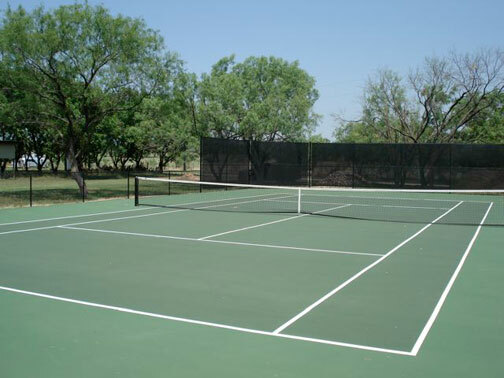 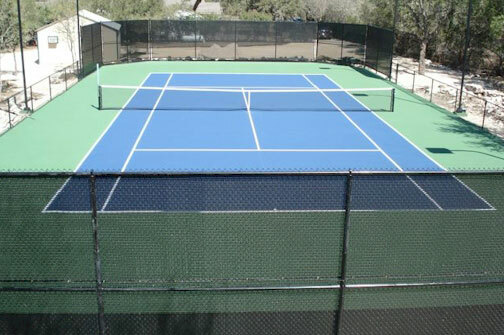 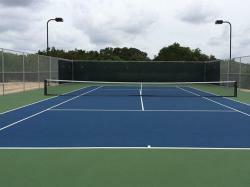 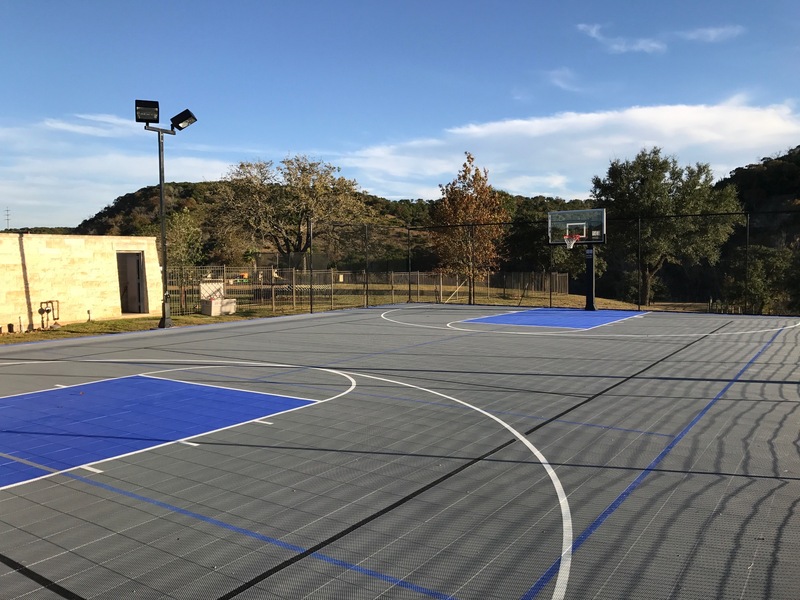 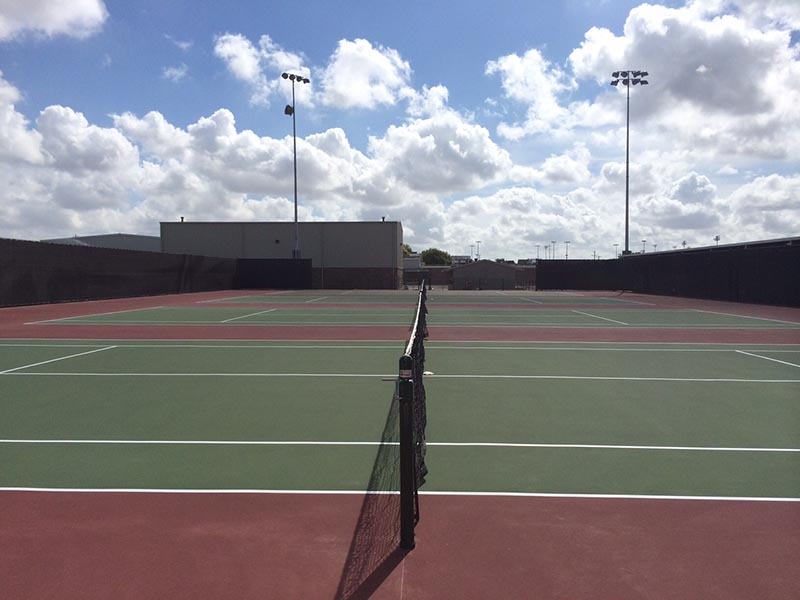 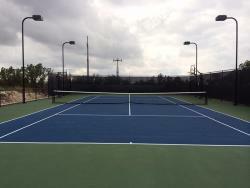 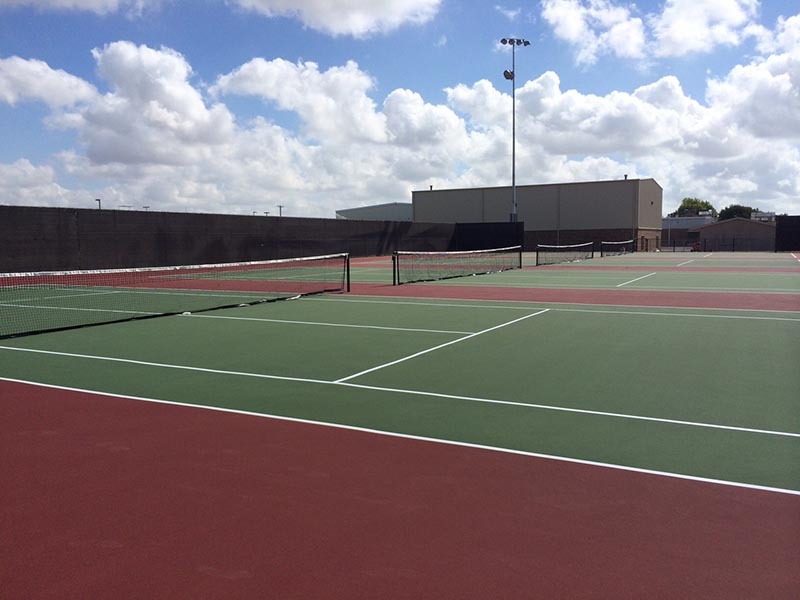 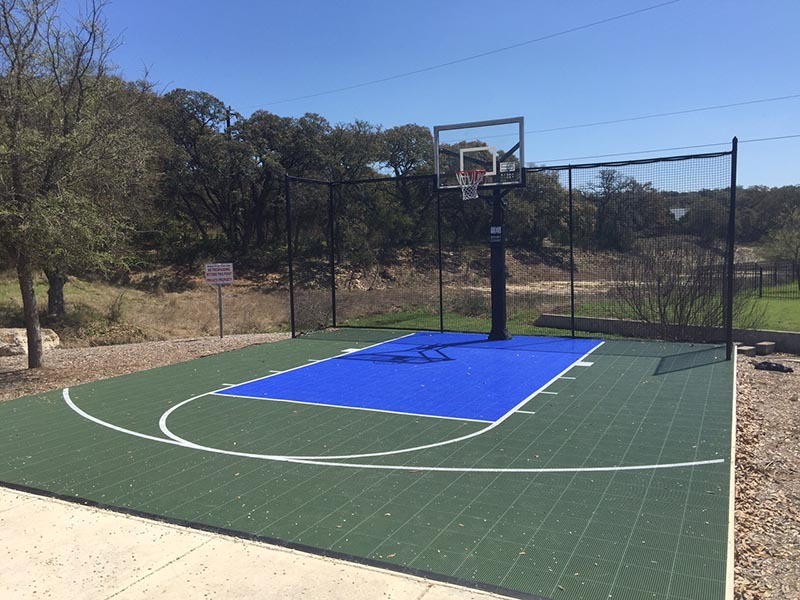 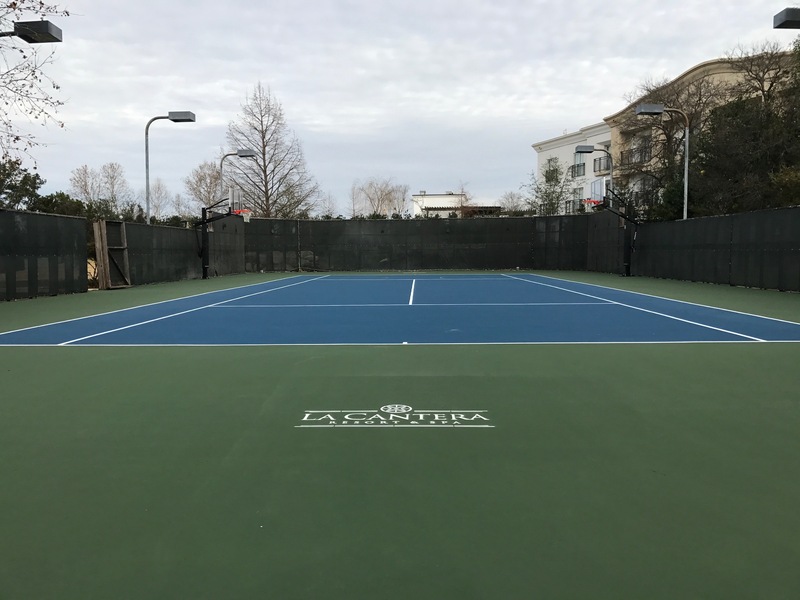 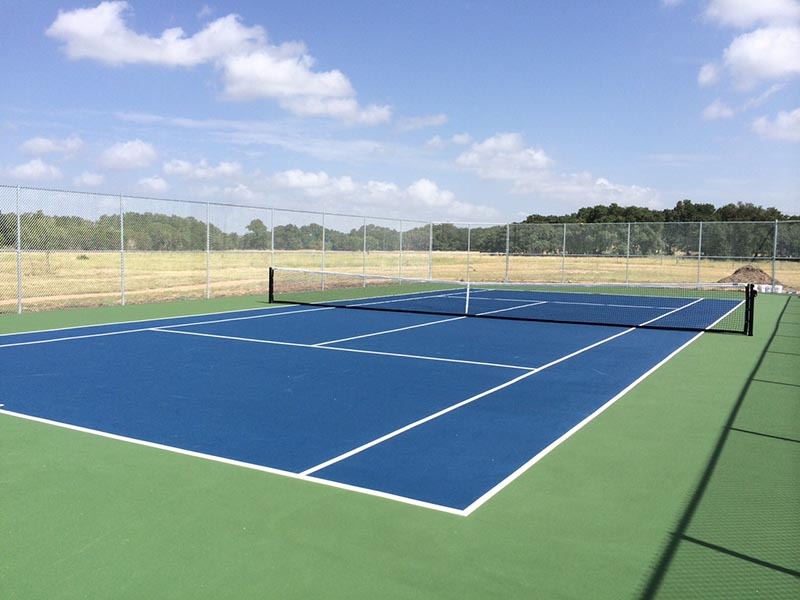 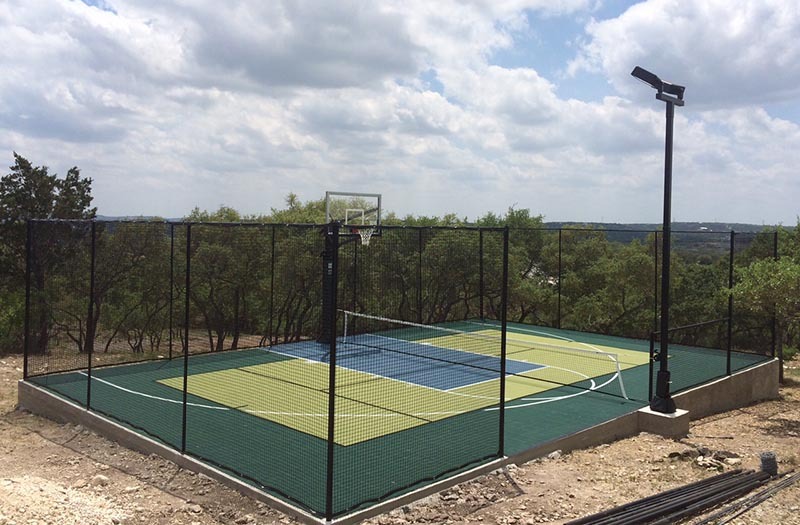 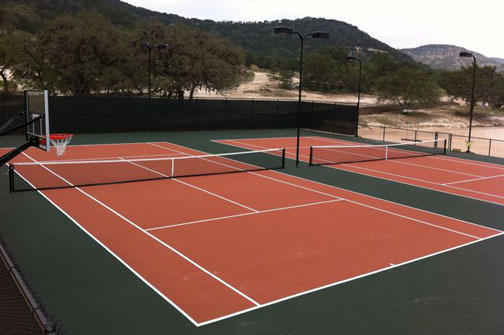 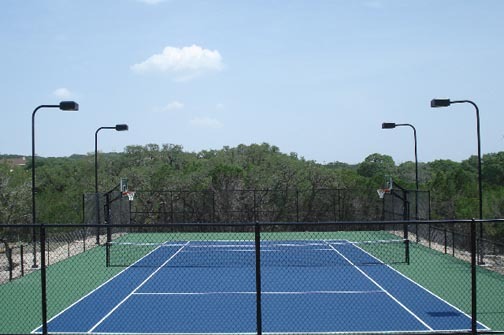 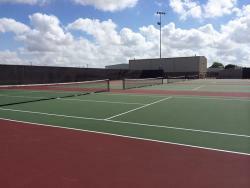 Come by our demonstration courts at The Tennis Park at Whispering Oaks (11515 Whisper Forest, San Antonio, TX 78230) to experience the quality of a court by Grand Slam Courts. 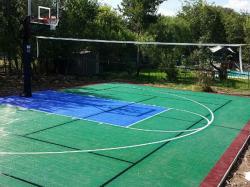 When Grand Slam installs your new court, we’ll give you a free Giant Sport Court Fun Pack (a $400 value!). 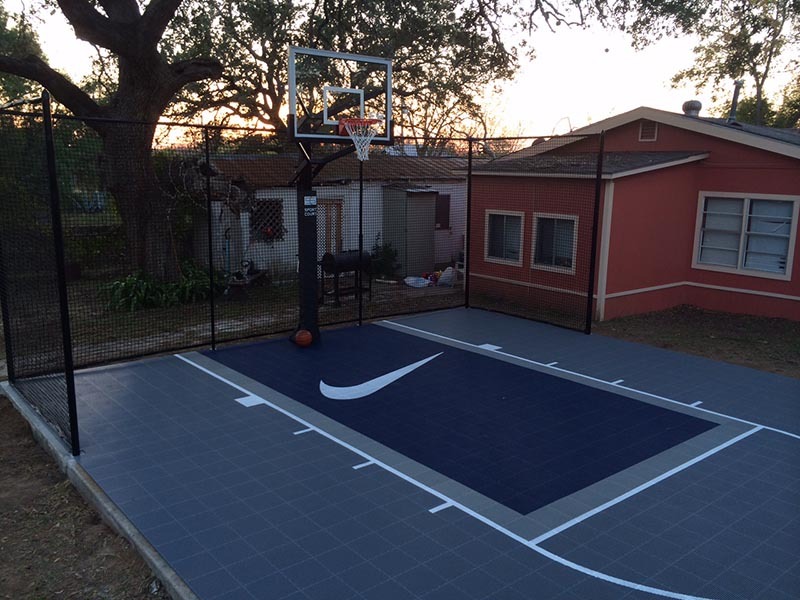 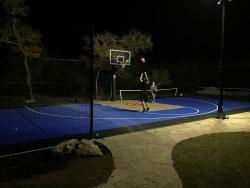 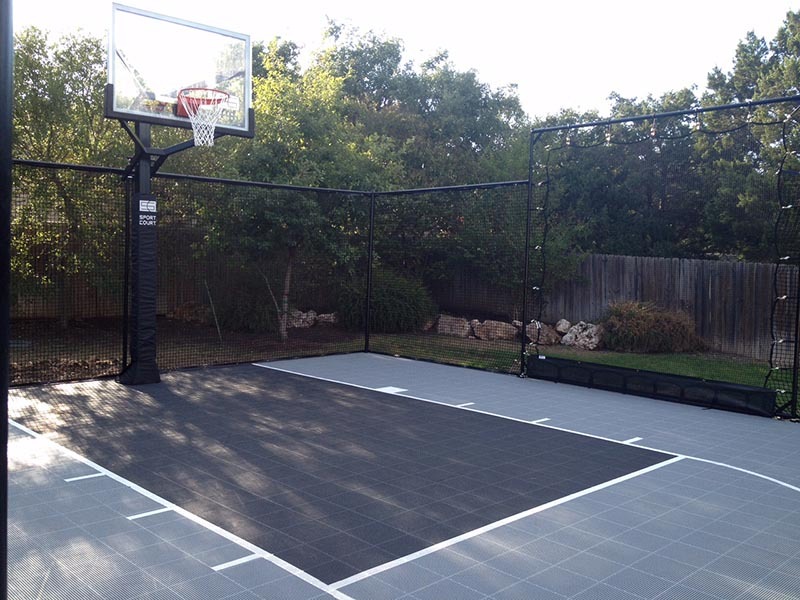 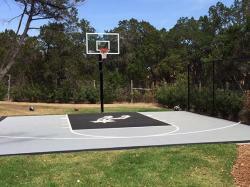 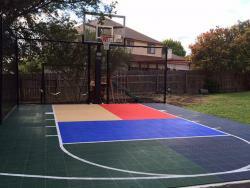 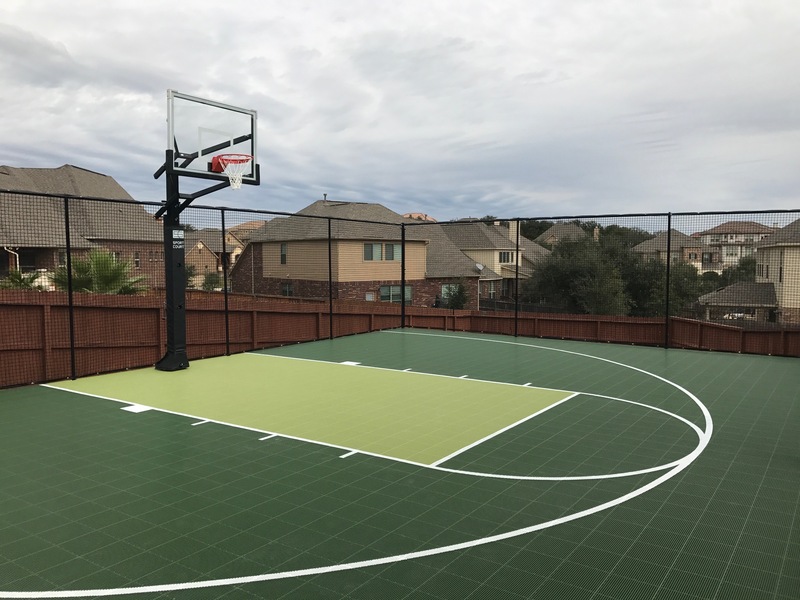 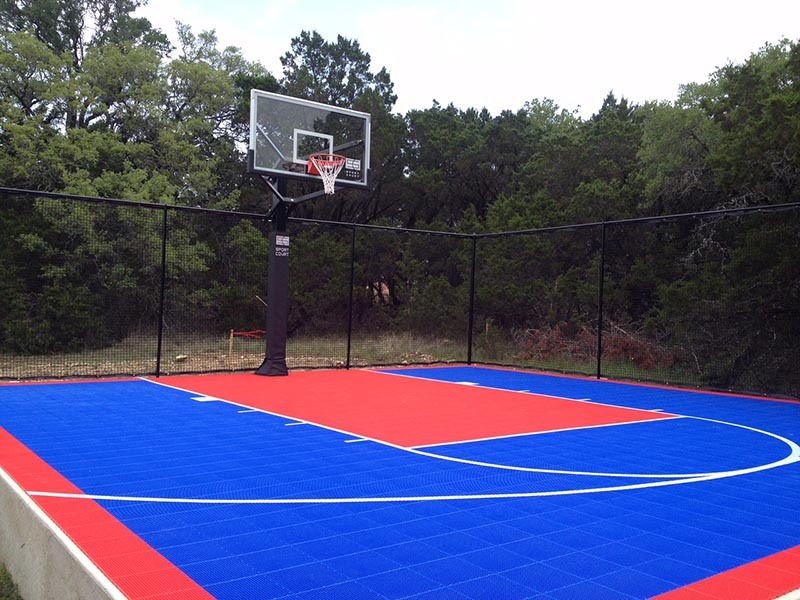 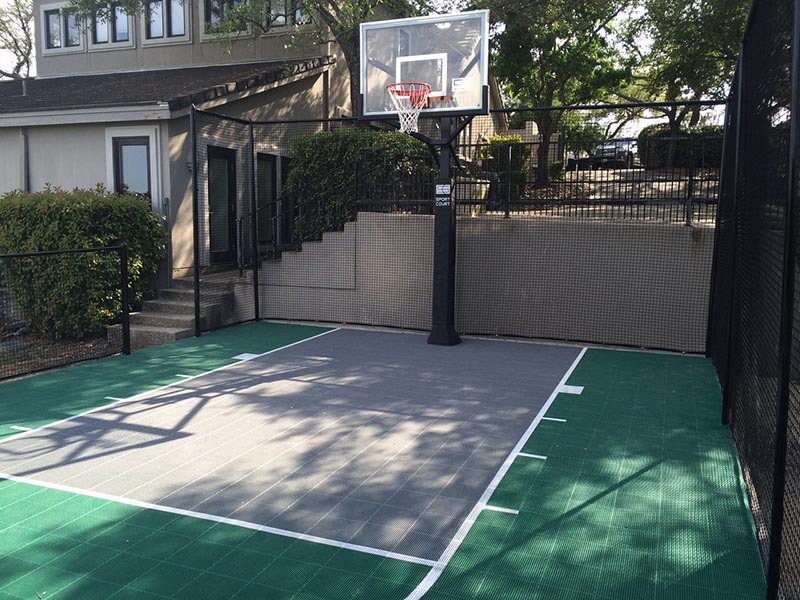 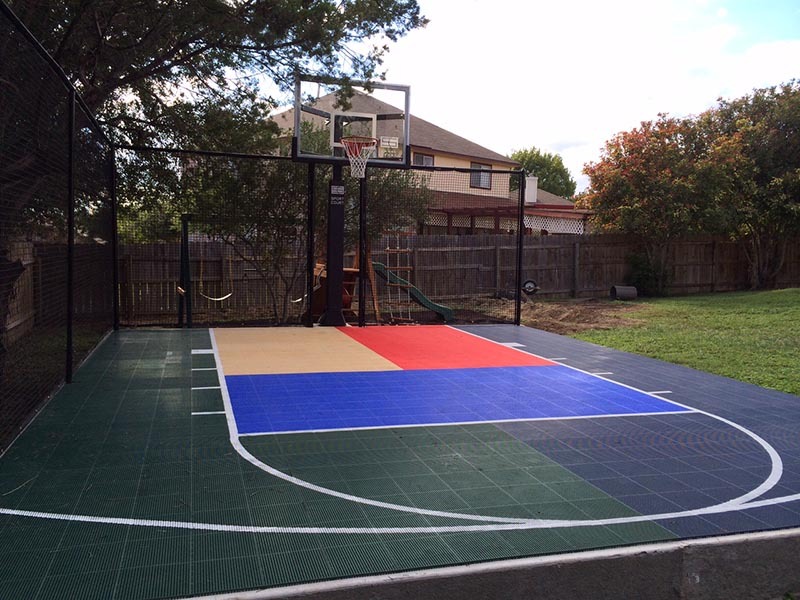 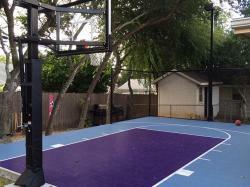 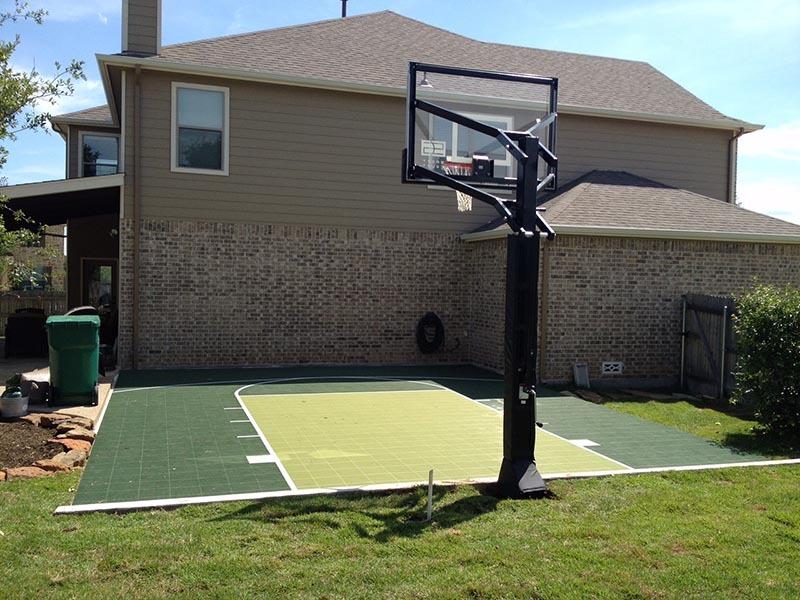 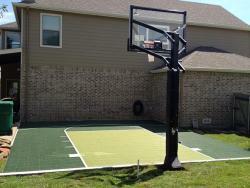 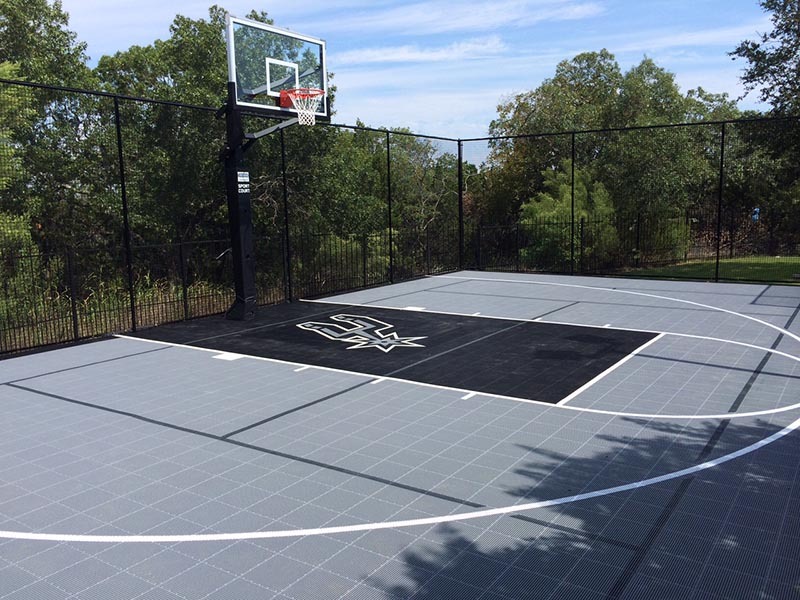 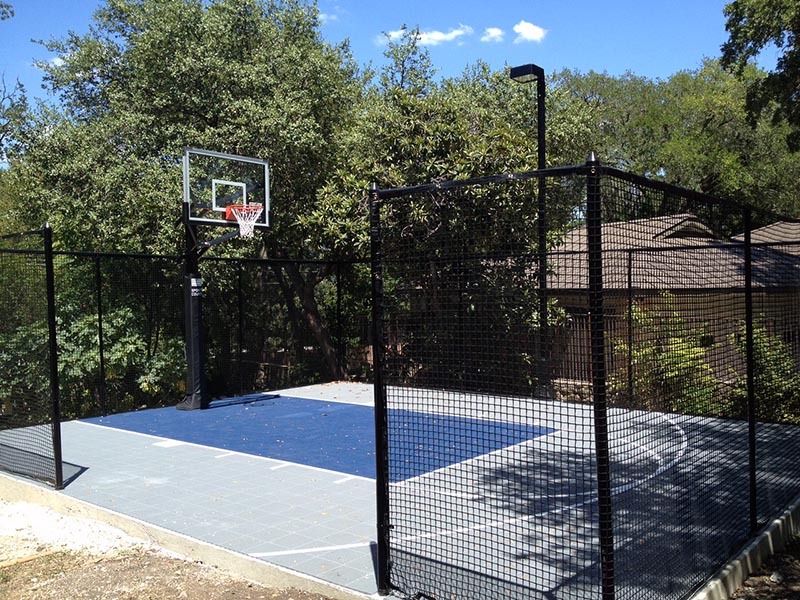 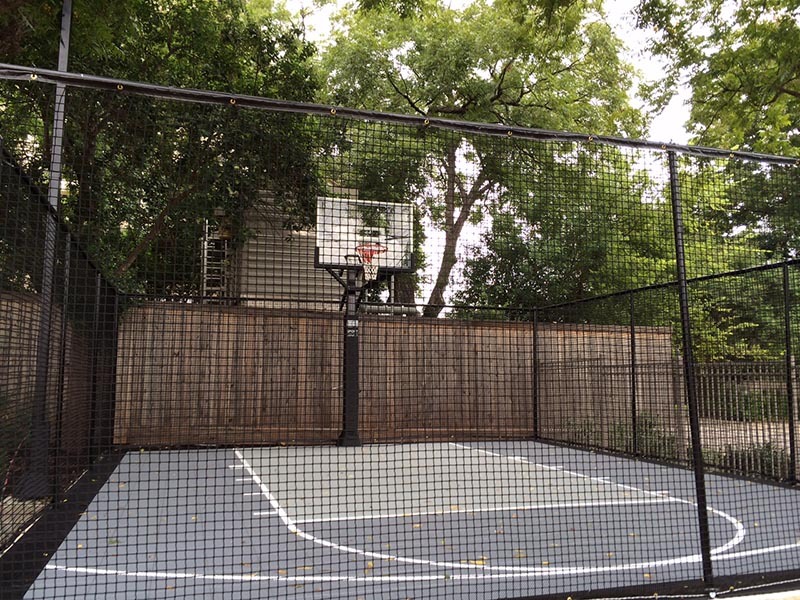 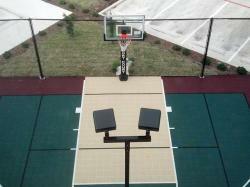 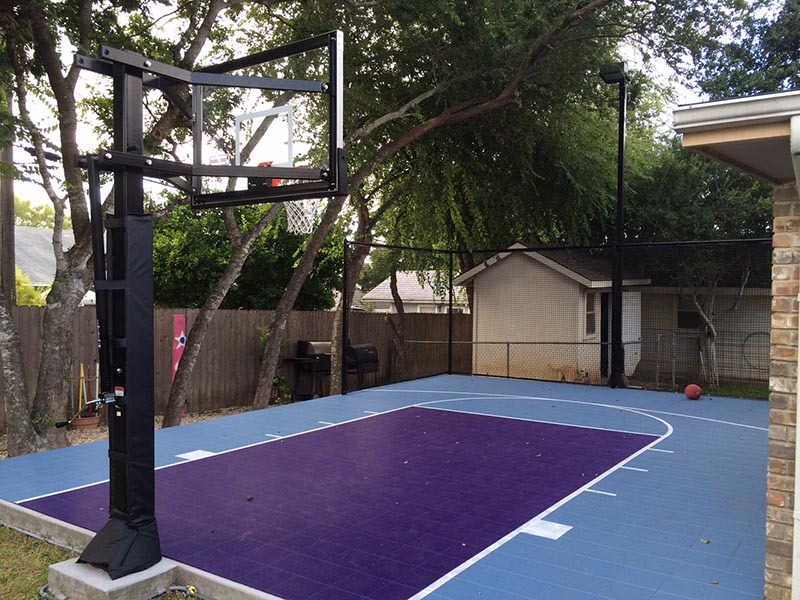 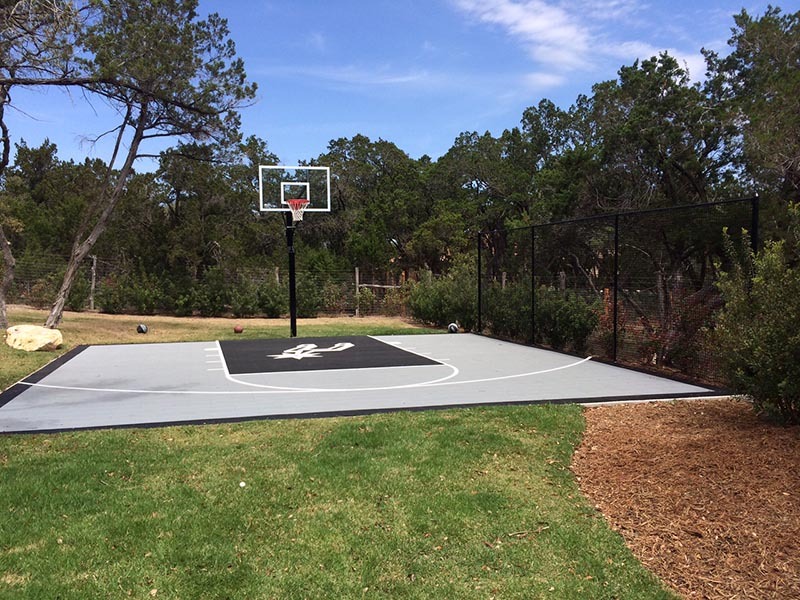 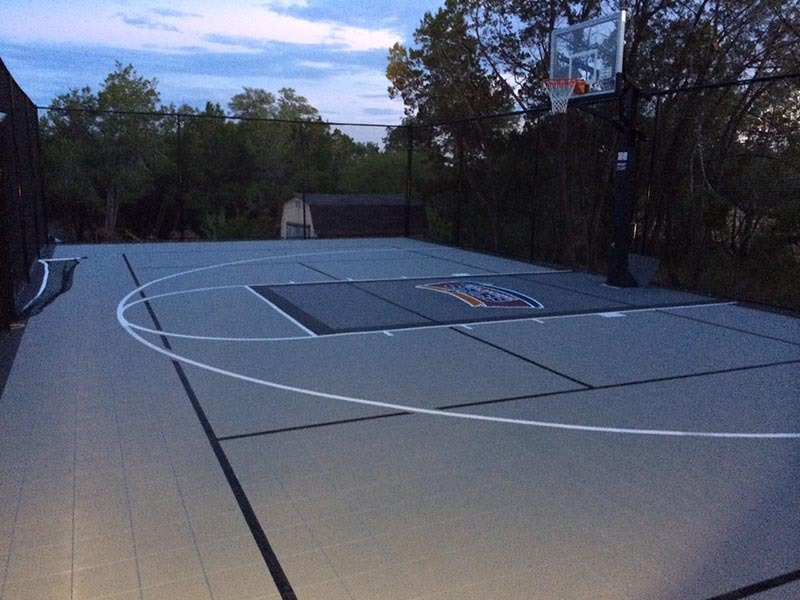 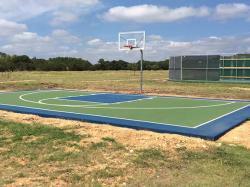 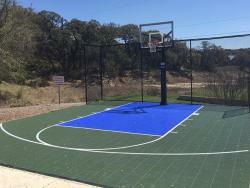 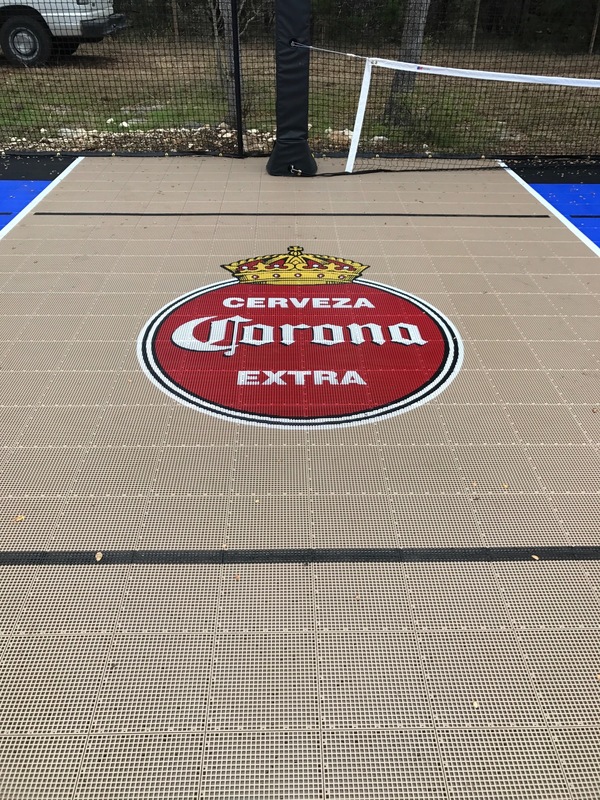 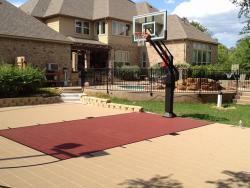 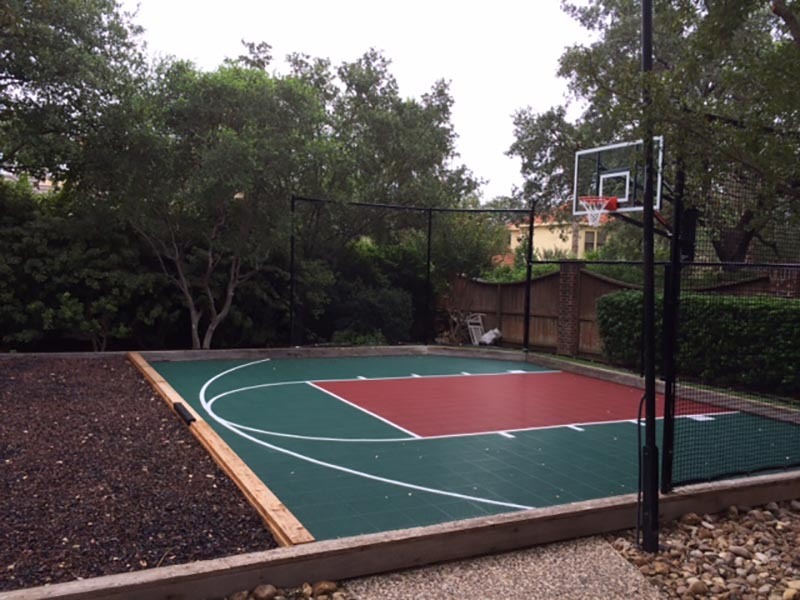 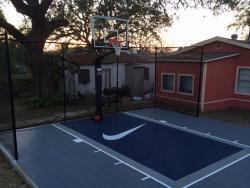 Our Sport Court Fun Pack includes everything you need to start enjoying your new backyard court. 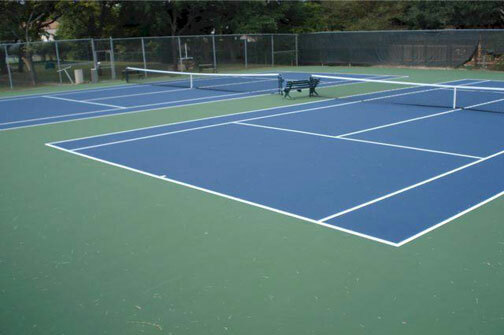 You get four Sport Court tennis rackets, and four paddle rackets. 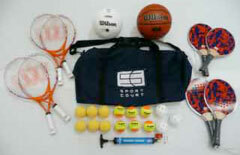 Also a basketball, a volleyball, and low energy tennis balls, pickle balls, and wiffle balls. 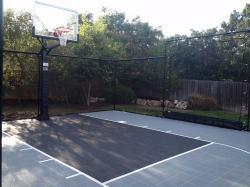 Plus an air pump and a Sport Court canvas bag to store it all in. 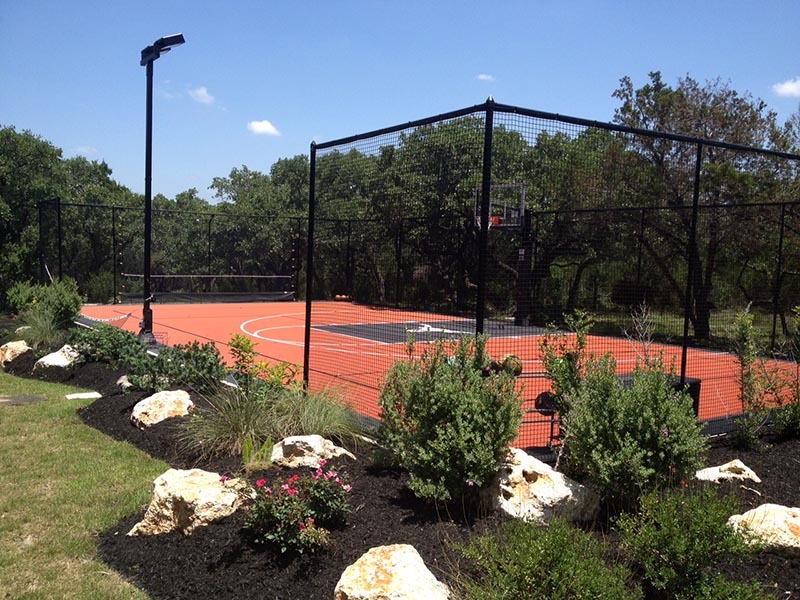 Your backyard or community park can become a recreation area that encourages fun and fitness for your family, friends and neighbors. 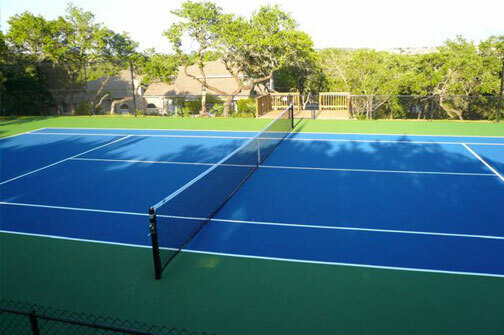 Fill out the form below or call 210-496-3399 today for a free, no-obligation consultation. 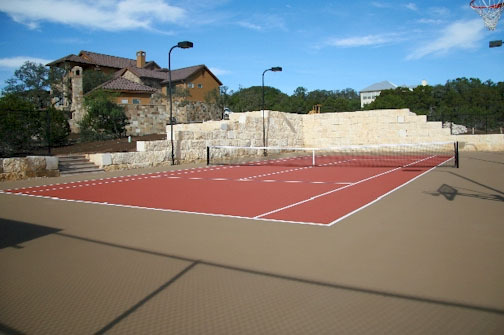 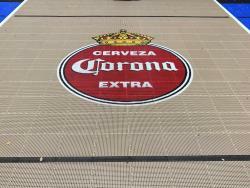 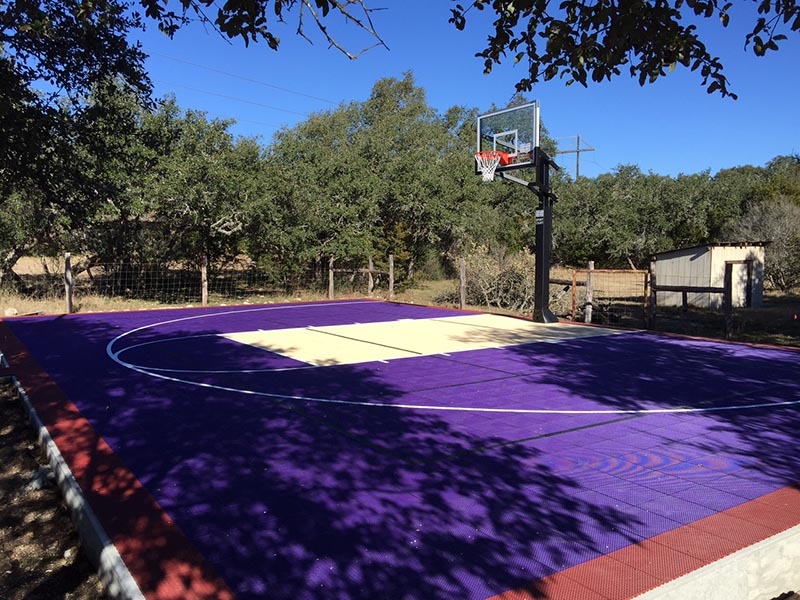 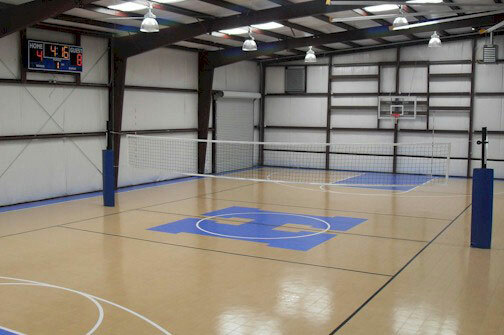 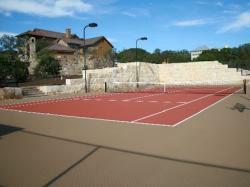 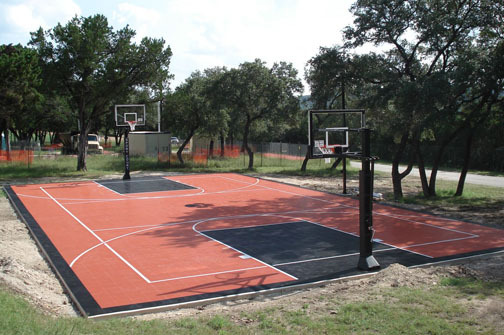 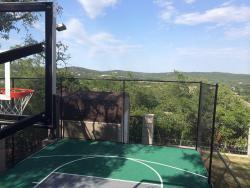 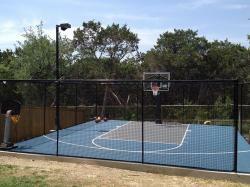 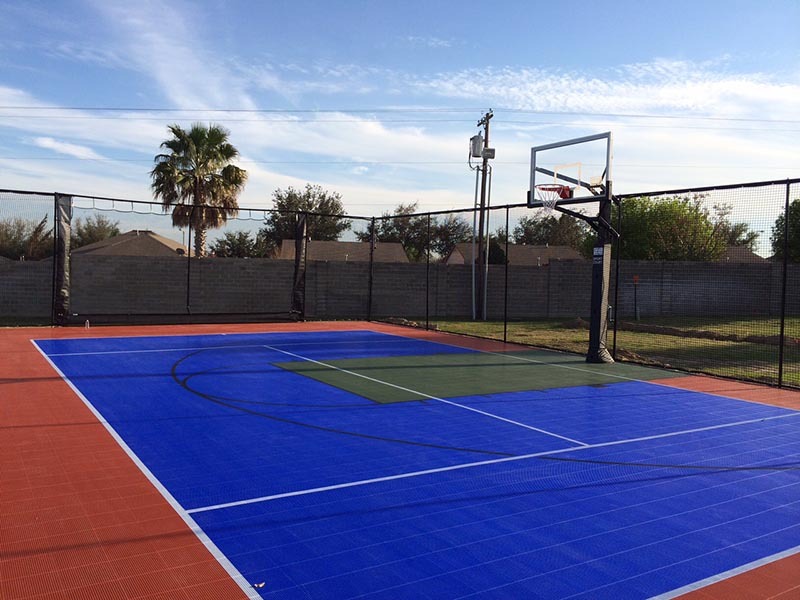 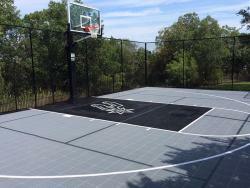 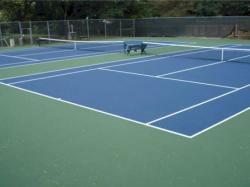 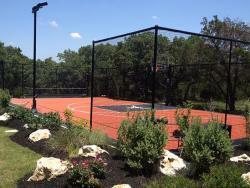 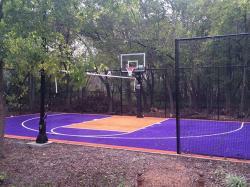 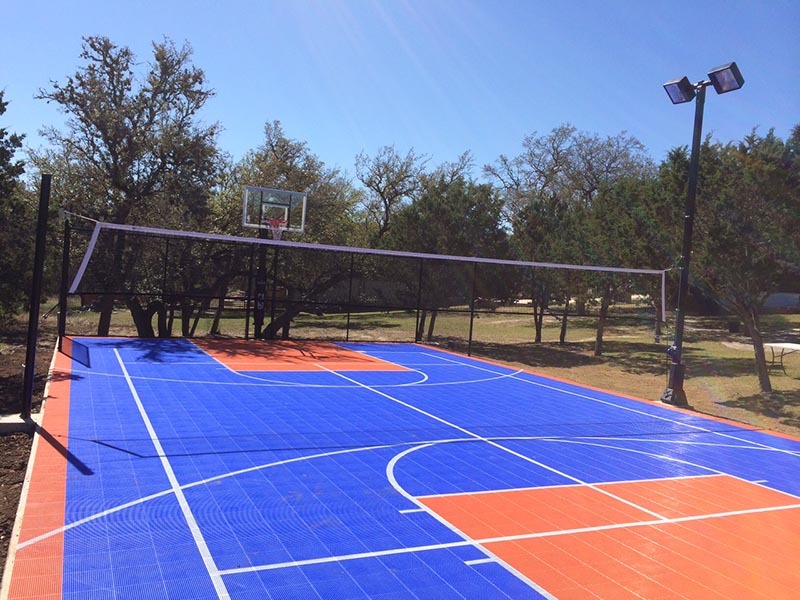 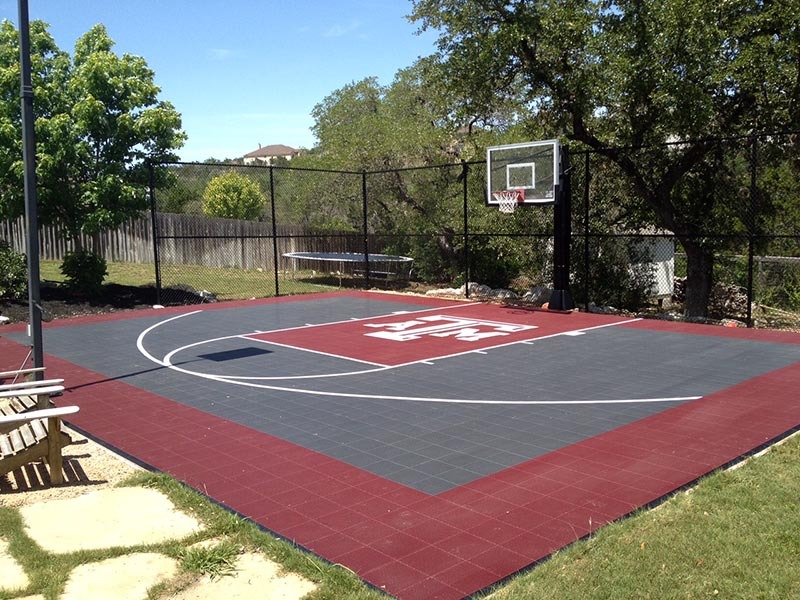 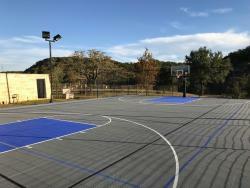 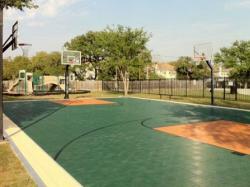 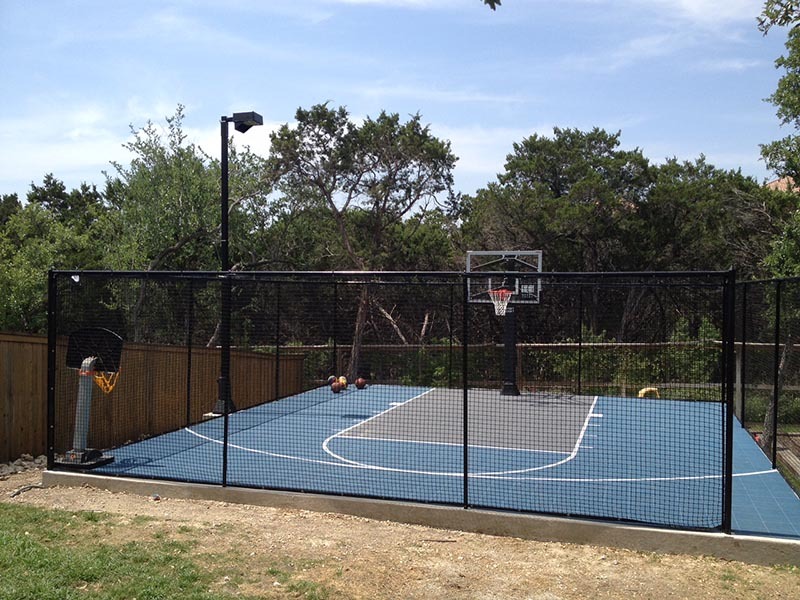 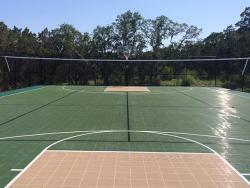 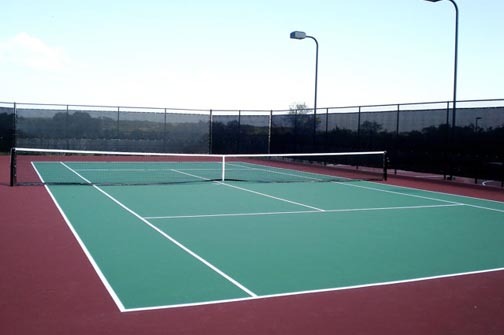 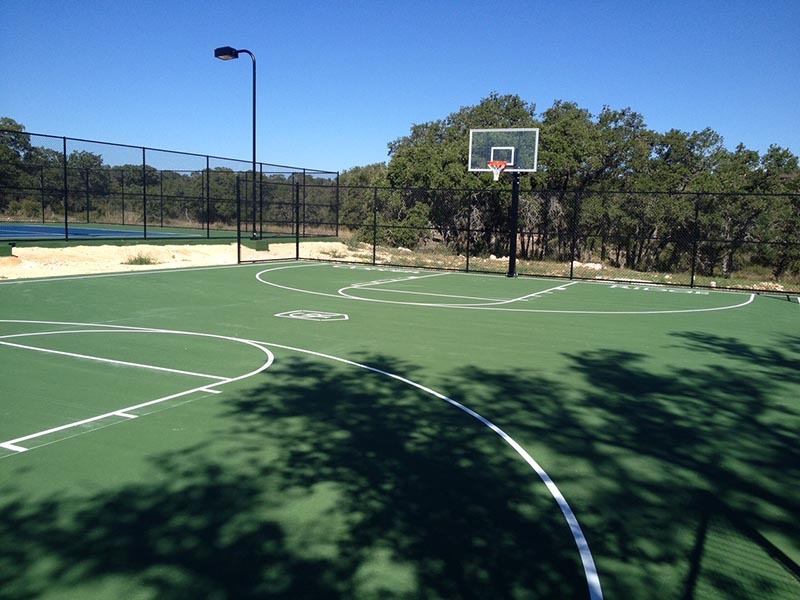 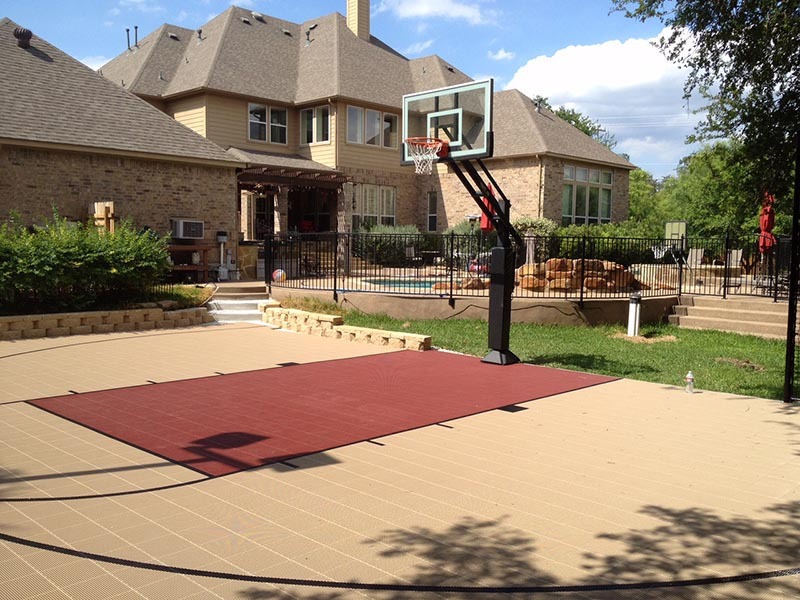 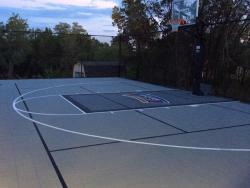 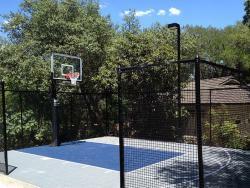 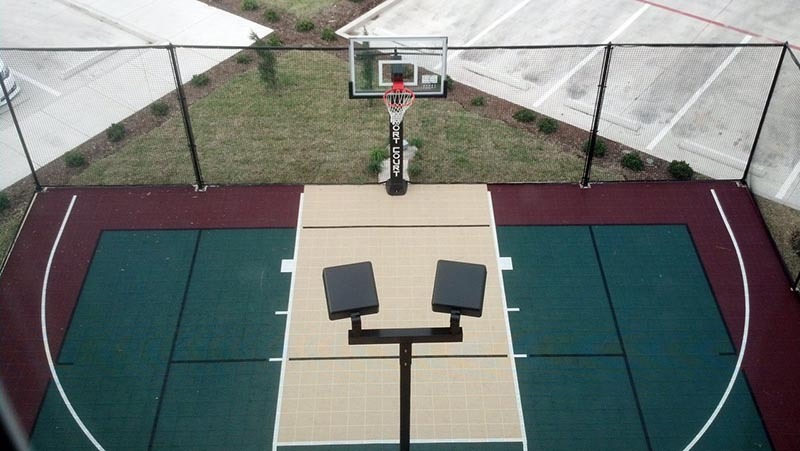 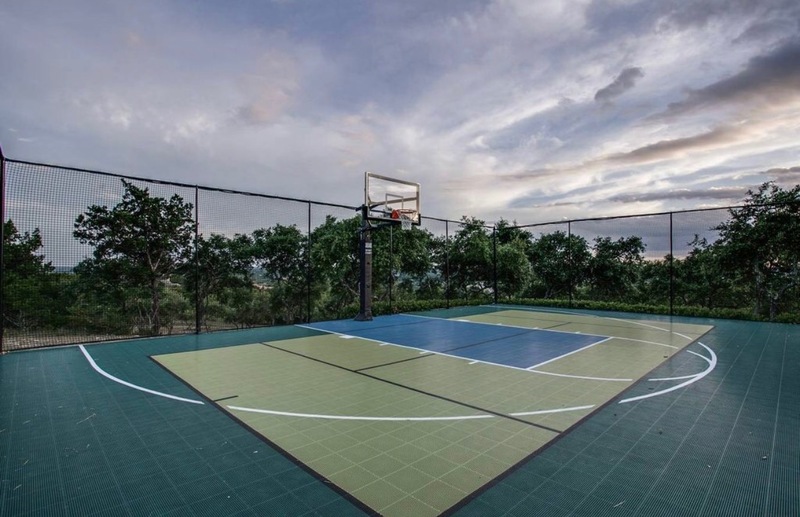 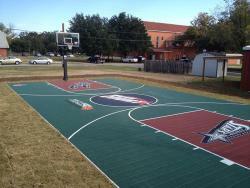 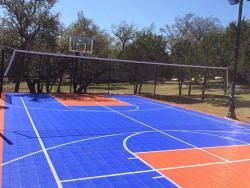 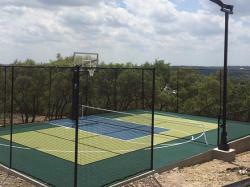 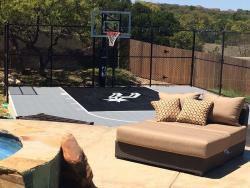 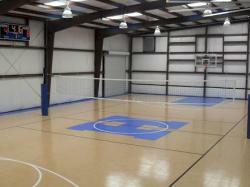 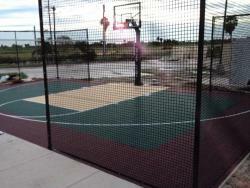 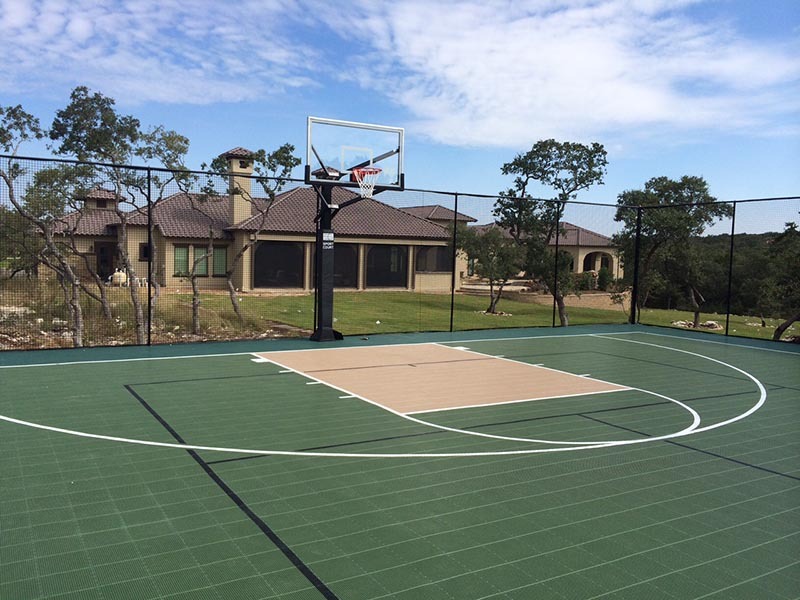 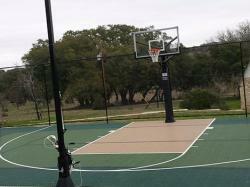 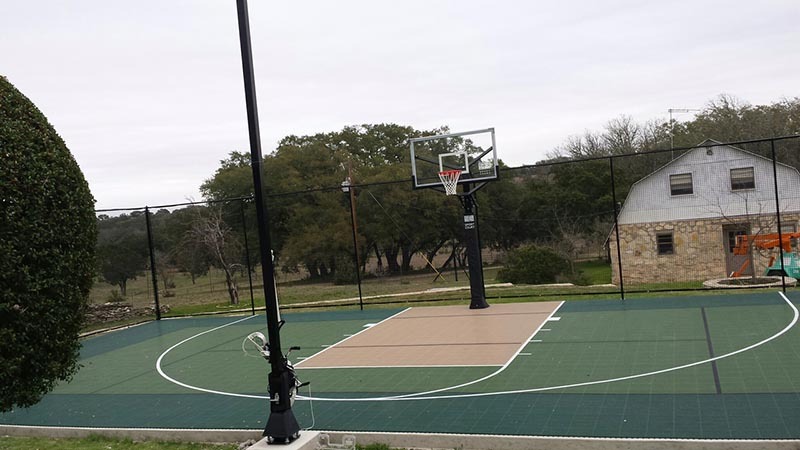 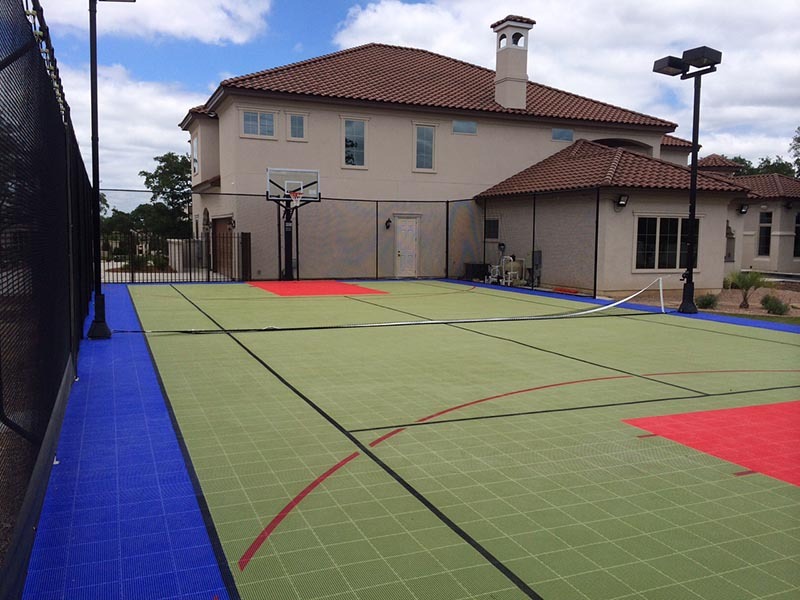 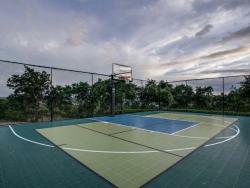 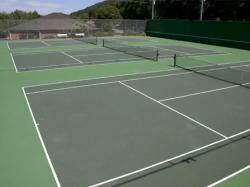 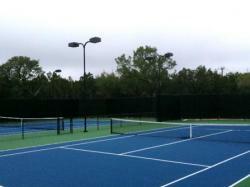 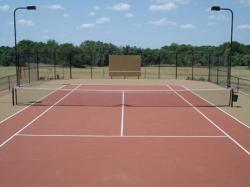 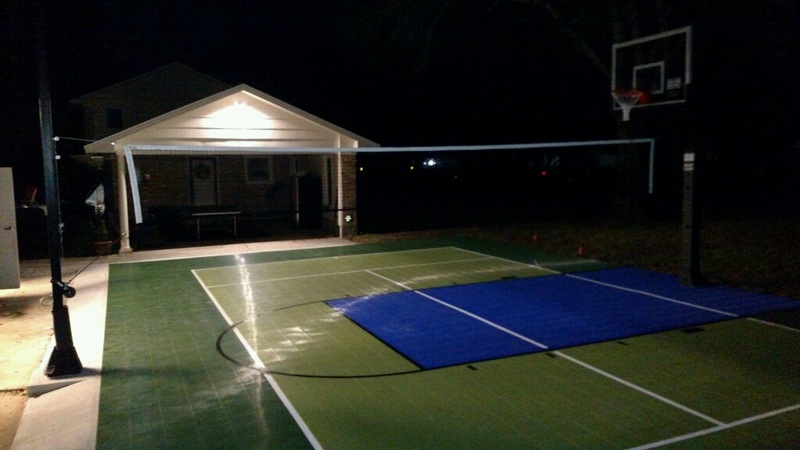 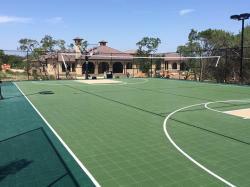 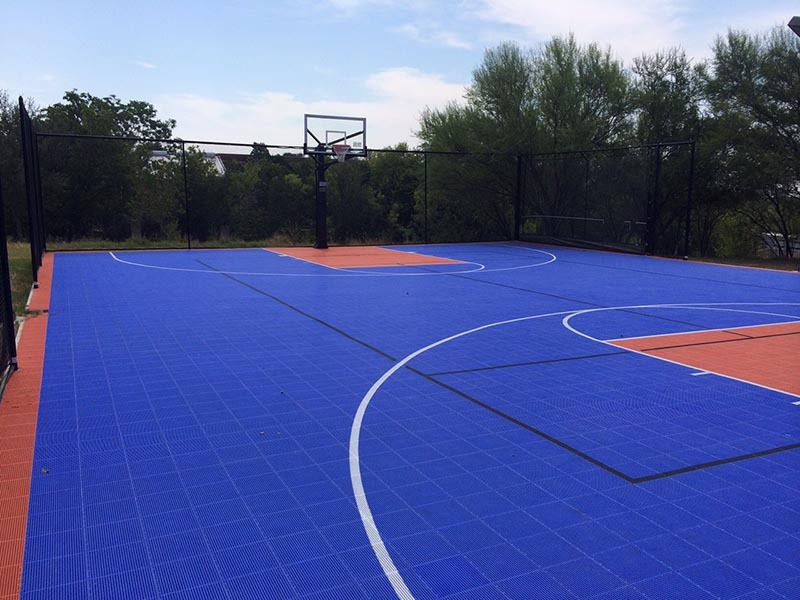 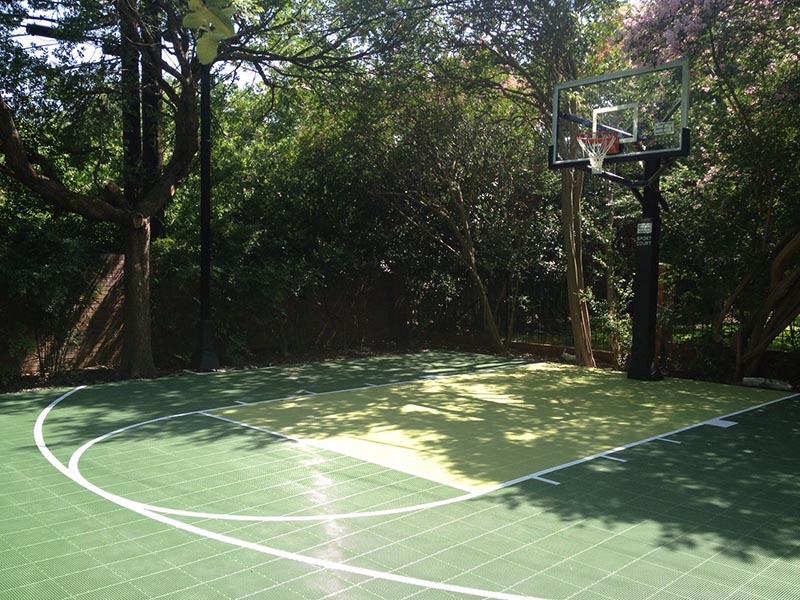 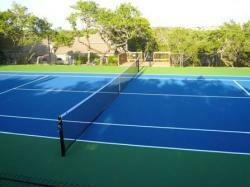 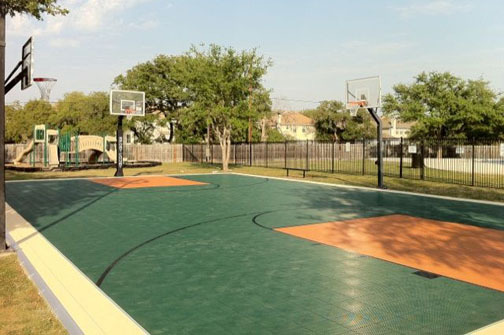 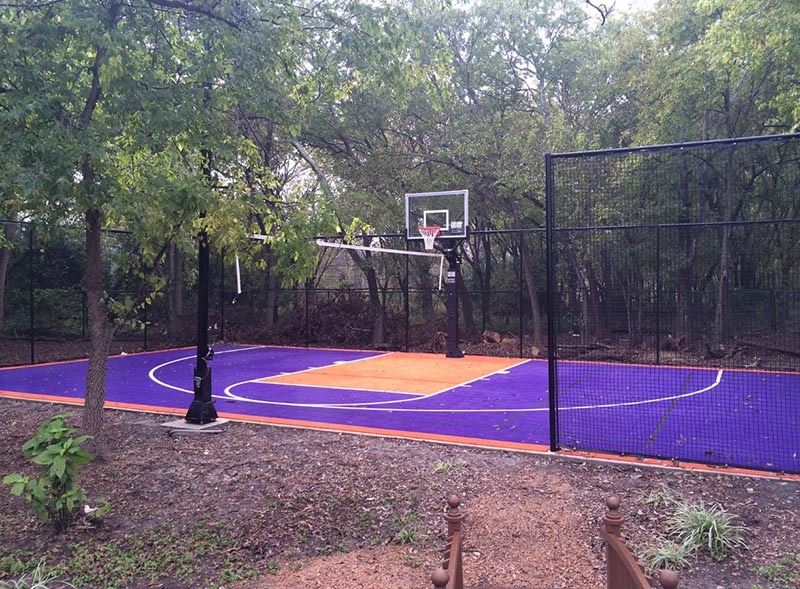 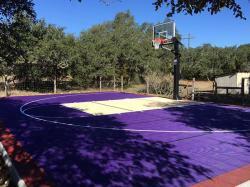 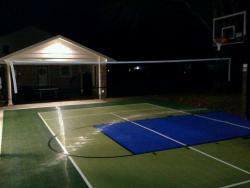 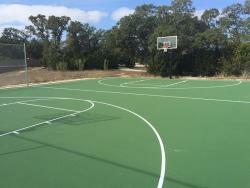 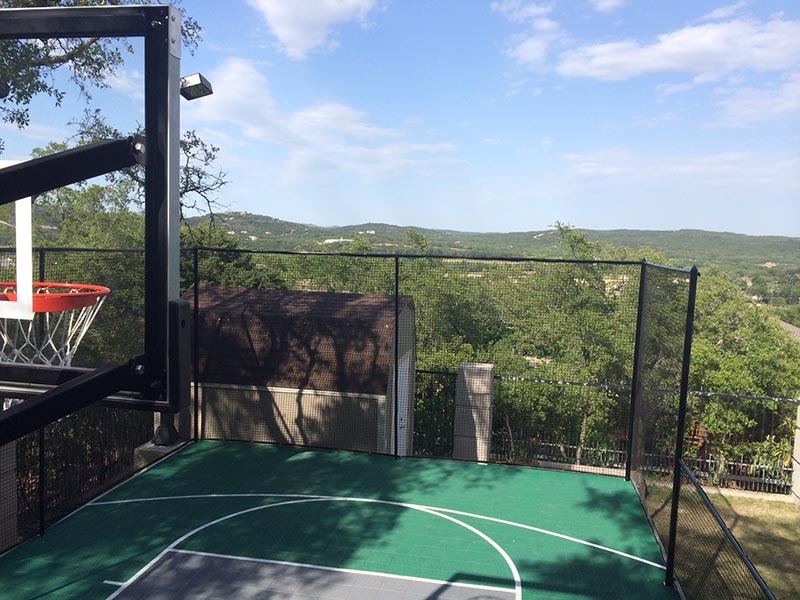 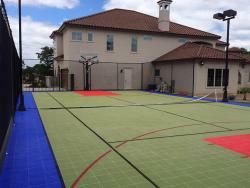 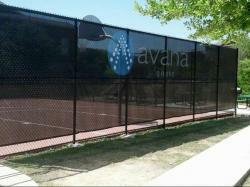 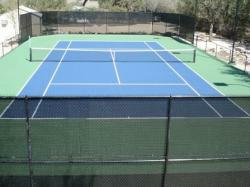 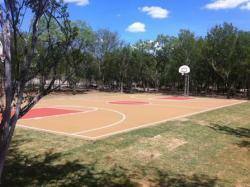 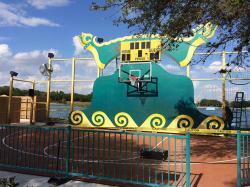 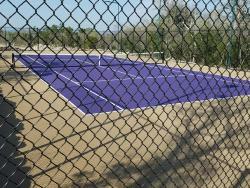 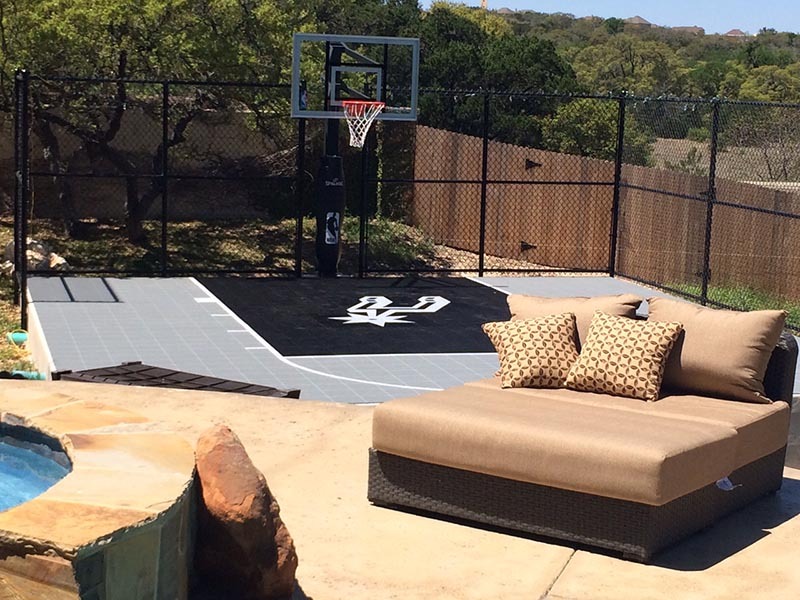 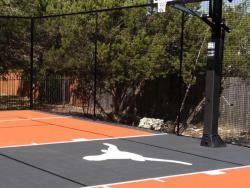 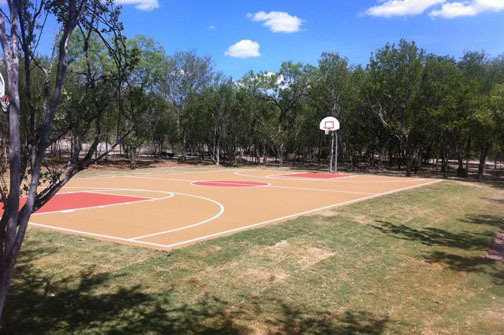 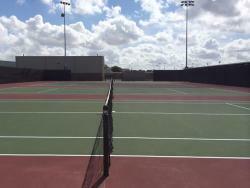 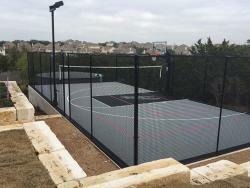 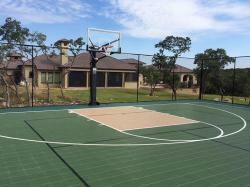 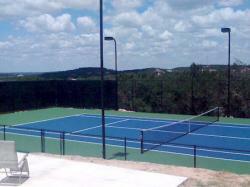 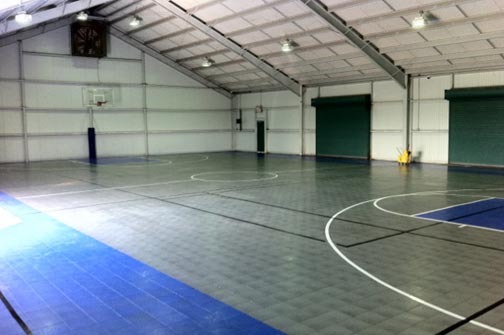 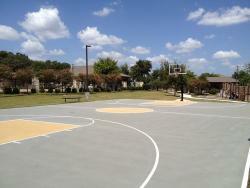 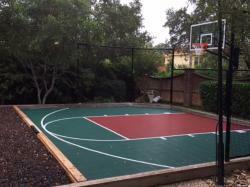 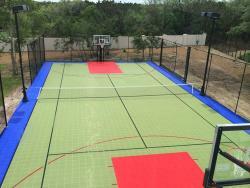 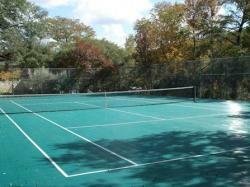 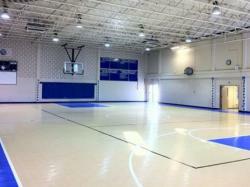 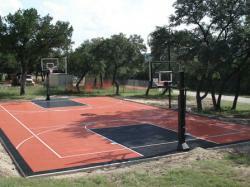 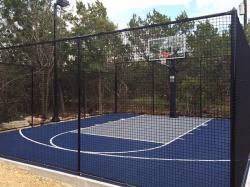 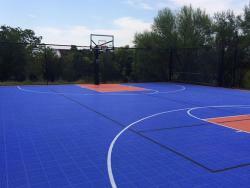 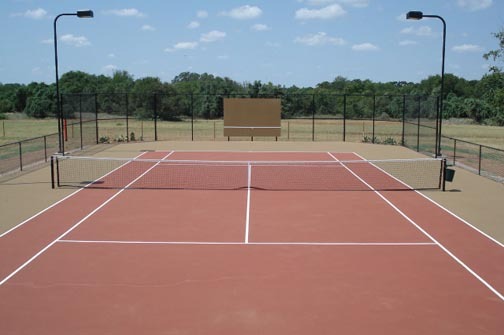 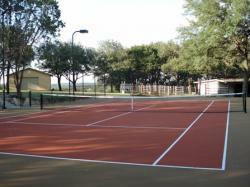 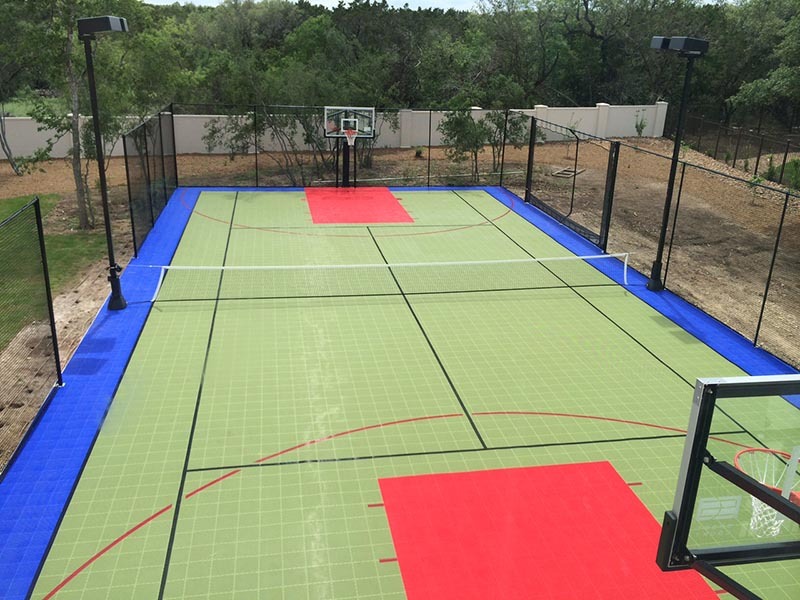 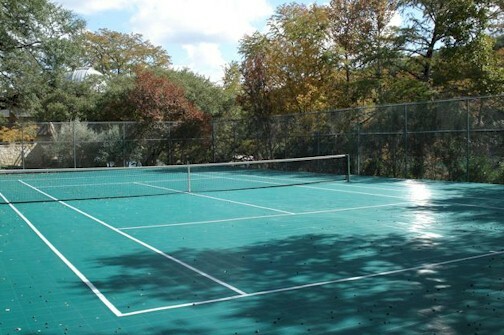 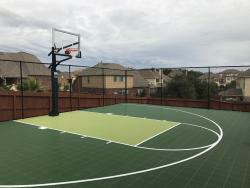 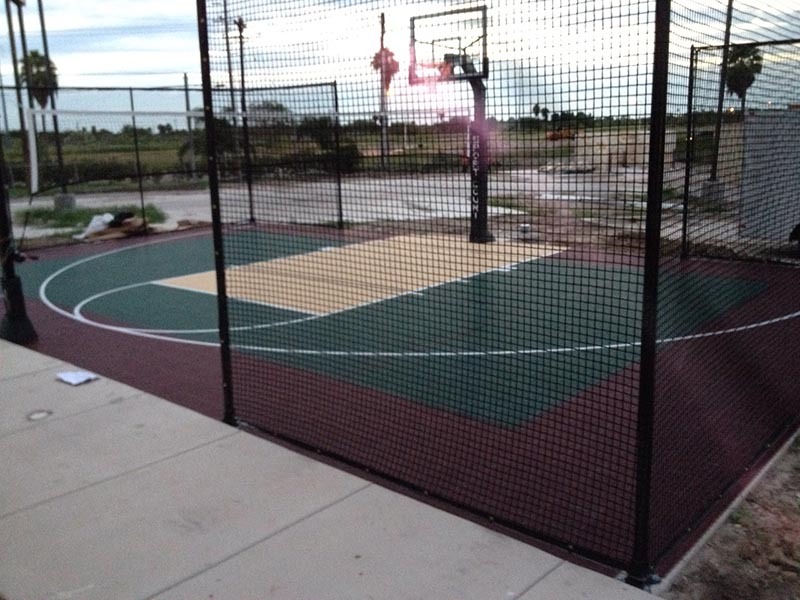 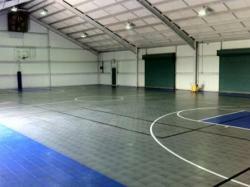 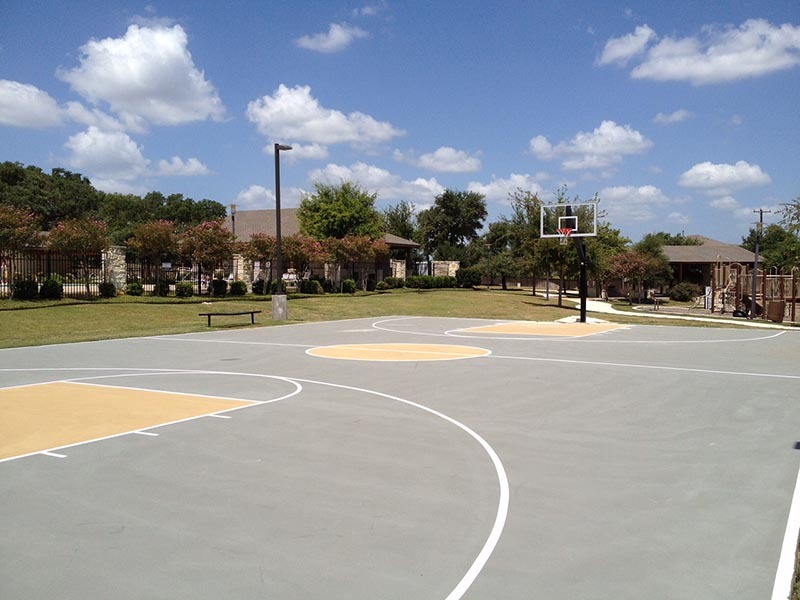 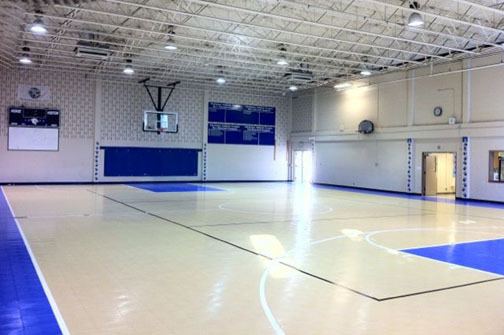 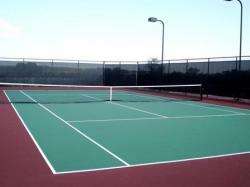 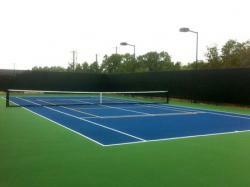 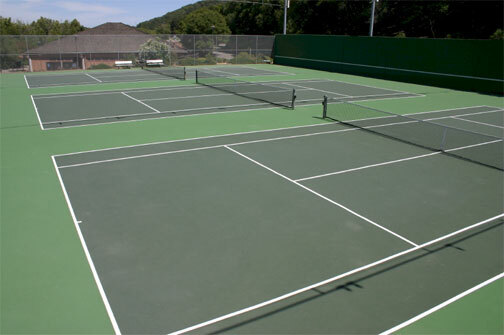 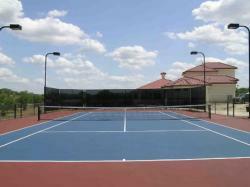 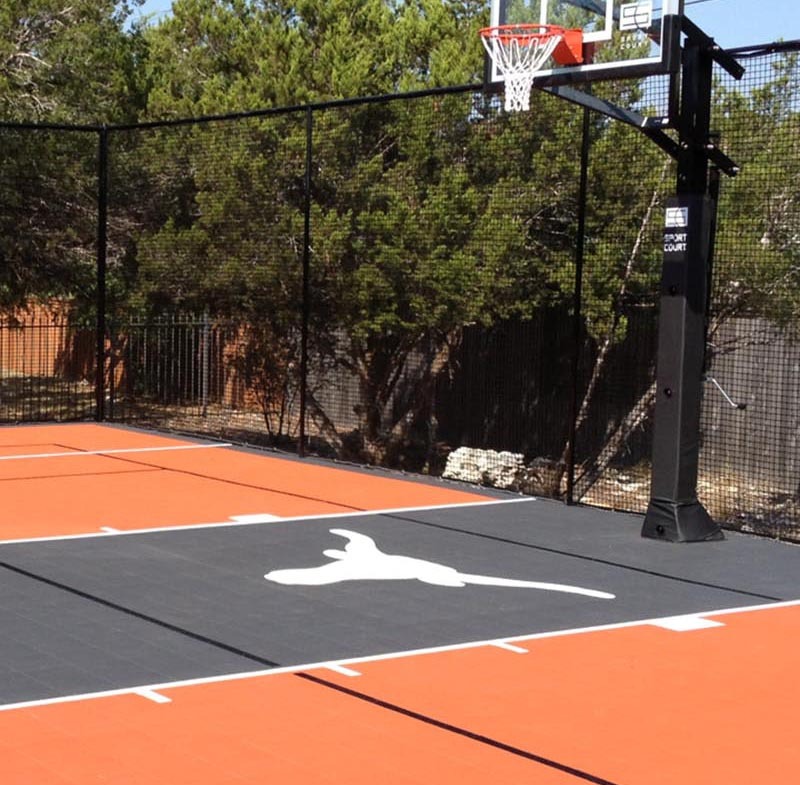 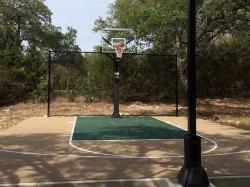 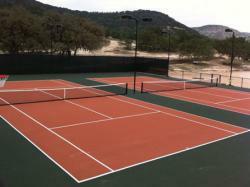 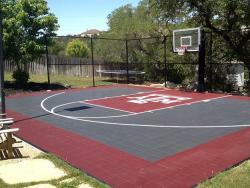 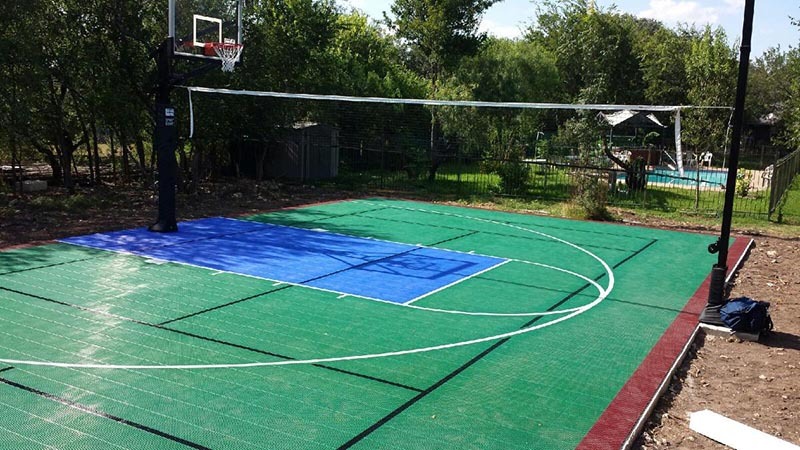 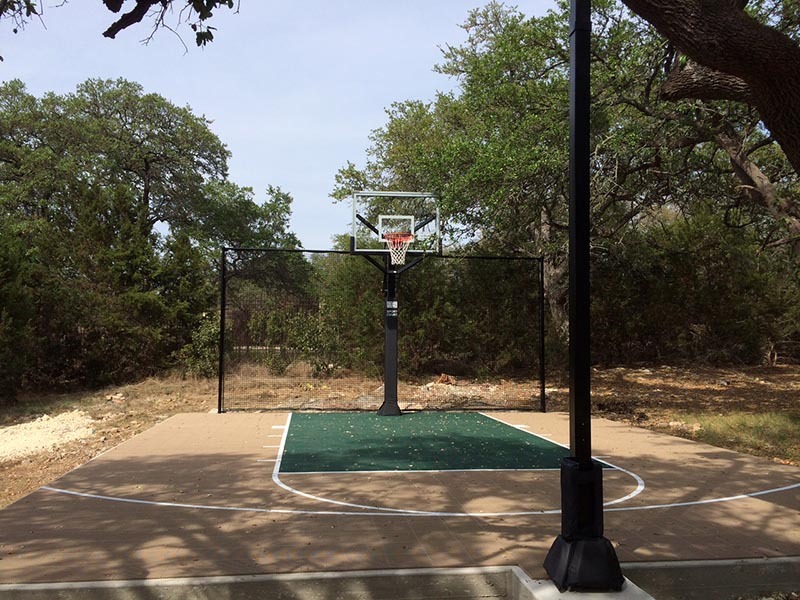 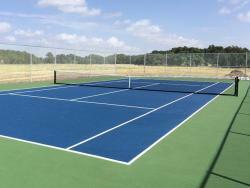 Let us give you a quote on a court that will meet your needs and budget.